Mydonate – Is closing at the end of June 2019, very sad to see it go, but we have found a replacement and better as all your donation comes to FOMO to help children, no donation or monthly fees. 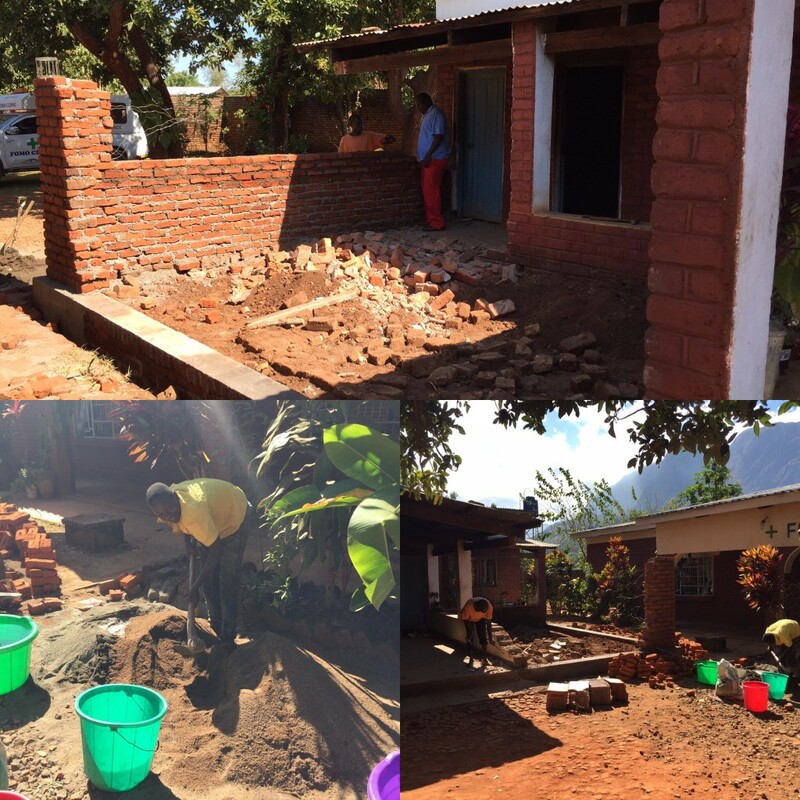 Fund Raising Appeal – The school hostel is making good progress, we now have the roofs on, floors finished and internal and external plastering done. Next step is to put a ceiling in the buildings and then paint all the insides, that’s a lot of paint. Moving on after that we need to dig the septic tanks, install toilets, showers, pipe work and rain water harvesting tanks. As a side we also need to build some high level water tanks and fit the borehole with an electric pump to supple water via the tanks to the hostels. After all this, its a breeze, only need to buy 60 bunk beds and common room furniture. Once all the internals, including doors have been done we need to create some paths back to the school and clear the area (landscaping). One last thing is to build a clothes wasting station, with lots and lots of washing lines. We hope to open the hostels before the start of term in September, this sounds like a good plan, but we still need some additional funding to finish the project. If you can help, even if we have to buy a can of paint at a time, all your contributions will create a safe place for the children which will last for generations. 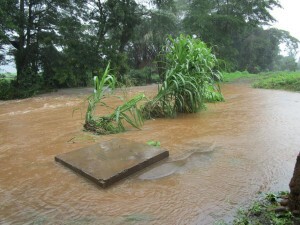 Some of the conditions the boys have to endure, and the reason we are building the hostel. 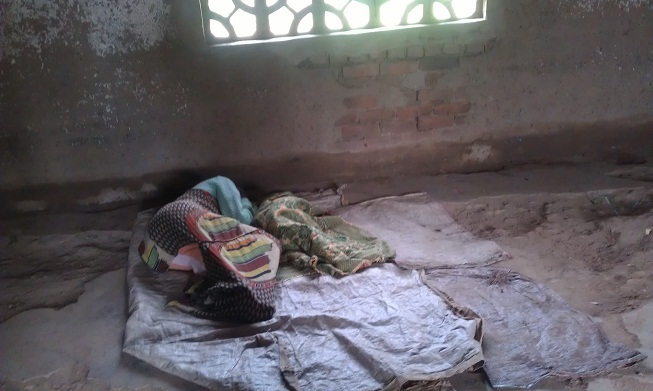 3 or 5 children in one small room, no bed, electricity, water or security. We have over 70 children who have to self board as they live to far from school and this is the only way they have access to education. We have also 6 girls self boarding and finishing the hostel will free up space so they can be brought in to a clean safe environment. 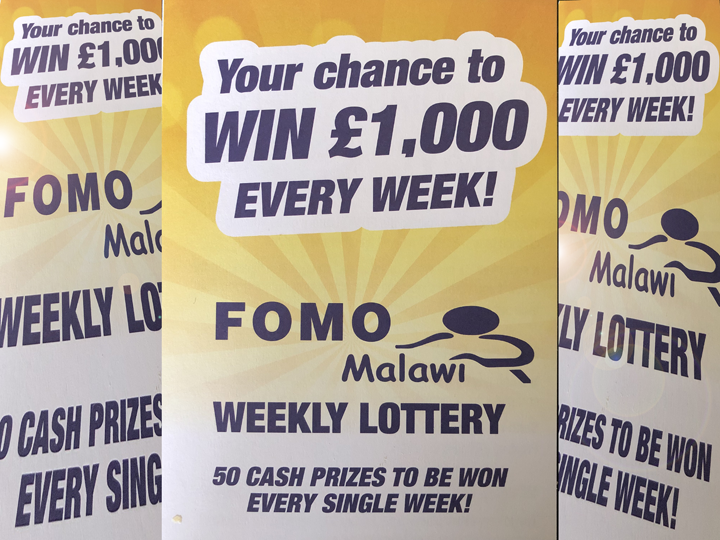 FOMO Lottery in partnership with other charities through Heartbeat gives you the chance to win £1,000 as well as cash prizes and help the children in Malawi. Mary’s Open House – Thank you for providing Christmas. 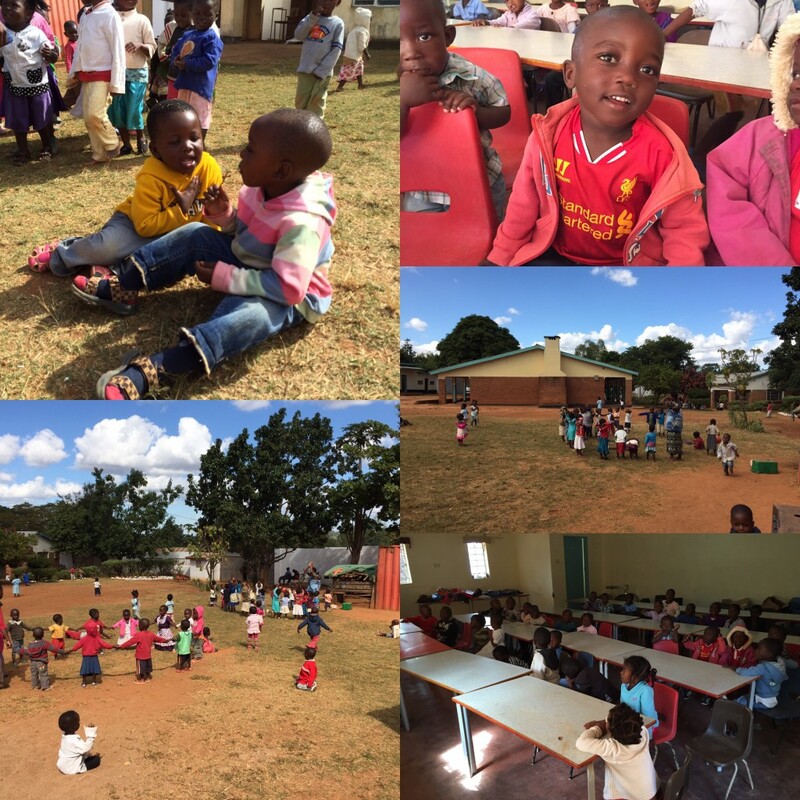 We were able to provide to all the 14 Centres here are a few pictures. Onward to 2019 please continue to support the children it does make a big difference. 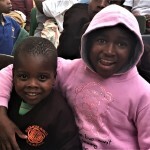 All donations, (Apart from transaction fees) will go to helping the children in Malawi. 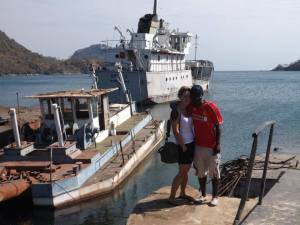 In 2003 Mary purchased a 5 year old Toyota Hi Lux twin cab pick-up and drove it from Durban, south Africa, to Malawi, with a few interesting moments along the way. This vehicle served us well and even had some high profile drivers, remember Ryan’s and John’s visit, but after many rebuilds including several broken leave springs has now come to the end of its life. Malawi roads are hard on vehicles, even ones made for the task and FOMO has taken it above and beyond to maintain its services to the rural communities. 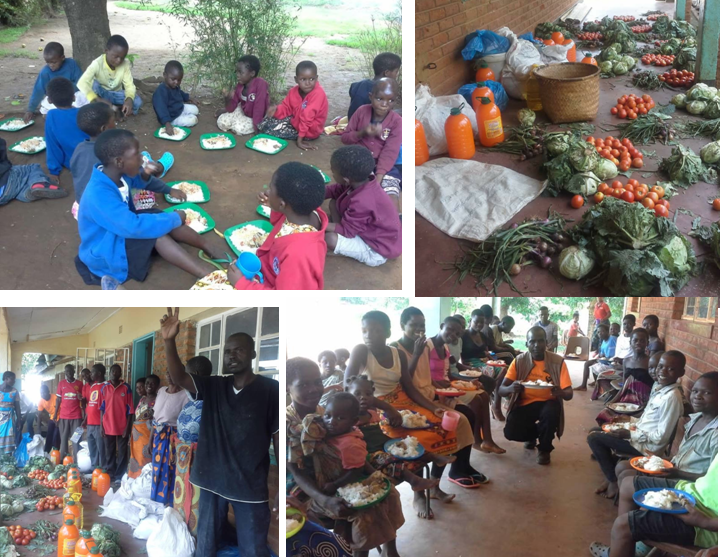 Friends of Mulanje Orphans (FOMO) is a registered charity founded in the year 2000 providing community based services including health care formal and informal education, food security and out of school activities to over 3,500 orphaned and vulnerable children. 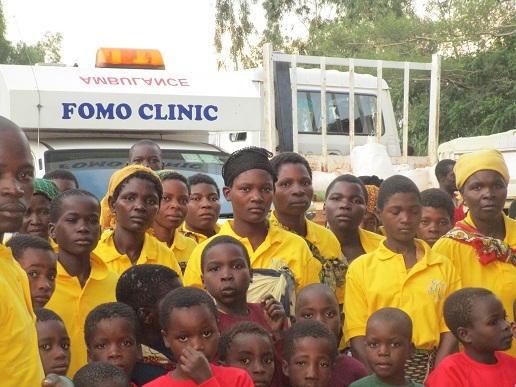 FOMO operates in rural Malawi and provides its services through a network of 14 centres, (8 purpose build), a secondary school and an outreach clinic. Due to the nature of the roads some of which are impassable in the wet season by standard vehicles FOMO need to purchase a basic robust 4×4 twin cab pick-up vehicle to service the 14 centres and play schools. 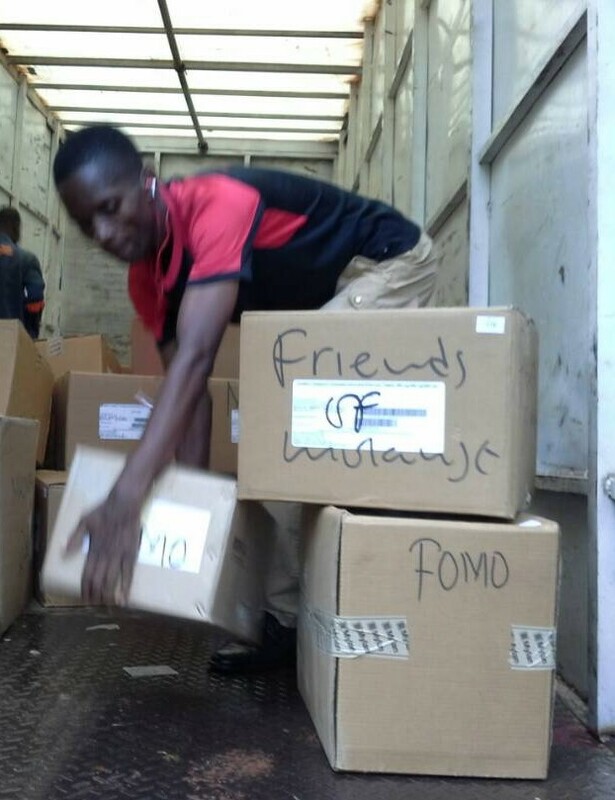 This essential resource will allow the FOMO team to continue to transport food, medical services, emergency assistance and help to distribute clothes, blankets, mosquito nets, personal items and development resources to the centres in all weathers. There are few tarred roads and due to the poor condition of the dirt roads in rural Malawi vehicles take an extreme pounding and with the governments push for better road safety it is essential that FOMO acquires a reliable robust vehicle to continue our lifeline to the community. This year our youngest son David will run in the London Marathon on 21st April 2018. He is running to raise much needed funds for Friends of Mulanje Orphans, a small NGO working in the Mulanje district of Malawi, which is one of the poorest countries in the world. As a family FOMO is very close to our hearts and we have seen for ourselves how helping does make a difference. David visited FOMO when he was just 9 years old and it made a lasting impression. FOMO provides food, healthcare, education and recreational activities for the most vulnerable children literally offering life and hope. Currently we are supporting over 3,000 children across 14 feeding centres, a secondary school and clinic. Thank you for your continued support, we could not do this work without the generosity and kindness of our friends. Zikomo kwambiri! Thank you very much! On the 22nd April 2018 I will be running the London Marathon in order to raise vital funds for FOMO, please donate what you can to this great cause. After a couple of non starts due to the heavy rains, the FOMO athletics got under way this week. 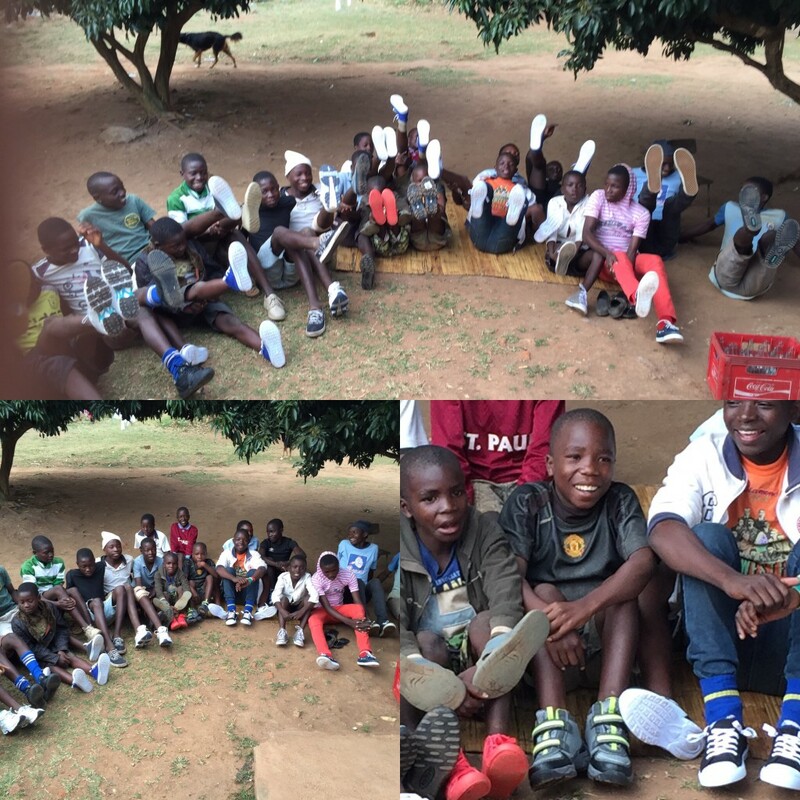 This event was run by the FOMO sports team during the school holidays at the Chitikale football ground and was open to all FOMO children from around Mulanje district. The events included 100 m, 400m ish etc events and small prizes were given to the winners. There is great enthusiasm for all kinds of sport, but they do need some help if they are going to develop. FOMO is hoping to create a sports ground and teaching facility at FOMO’s school when funds permit. If you can help please don’t hold back in 2018. 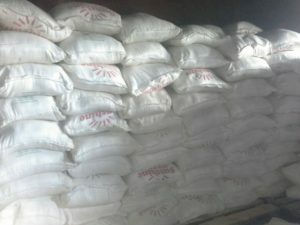 This week just in time for Christmas we took delivery maize flour and rice. The team as we speak are organising something special for Christmas lunch at the centres. No turkey or stuffing, but there will be lots of vegetables and meat which is a special treat. Thank you to everyone that helps keep the food programme going, and those that came to our open house earlier this month to raise funds to chive the children something extra this year. 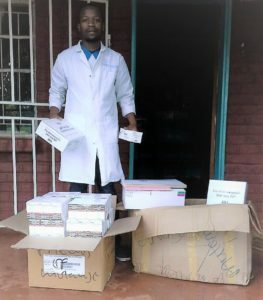 Additional drugs have arrived at FOMO’s HIV clinic, supplied free by the government. The problem has not gone away and care needs to be given over many years, but many small clinics like ours are helping to assist people in the rural areas. 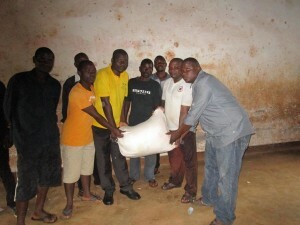 A big thank you to all that help to fund the General and HIV clinic, without you things wouldn’t seam so bright. Work still goes on rebuilding several wall following days of torrential rain about a month ago. Main people were affected and in previous post we so the devastation to the community build building at Mangani villiage. 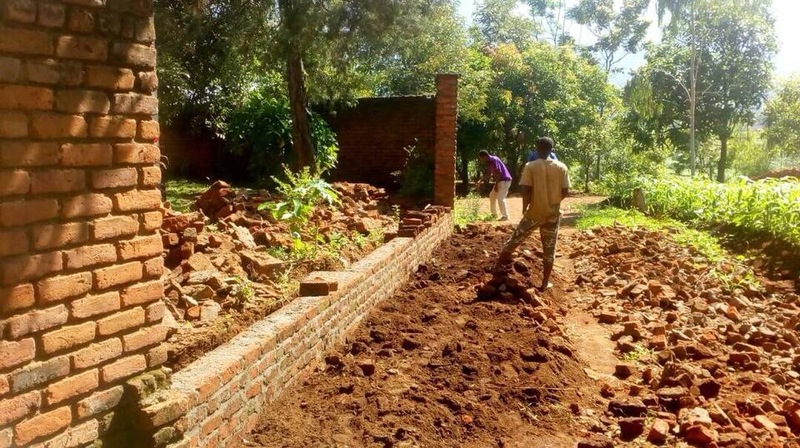 We have repaired the wall at the clinic and now rebuilding other walls with a view to helping the community to rebuild the community centre at Mangani in the new year. They do need some financial help and if any on can assist that would be a great help. There was a prize presentation ceremony to those students who performed well in the last academic years third term. During the ceremony, the Phylis trophy was also presented to Linda Muhowa (Form four) for her outstanding characteristics at stipulated in the terms and conditions guiding the trophy awardees. There was a two day peer educators meeting held at FISS from 25th to 26th November, 2017. 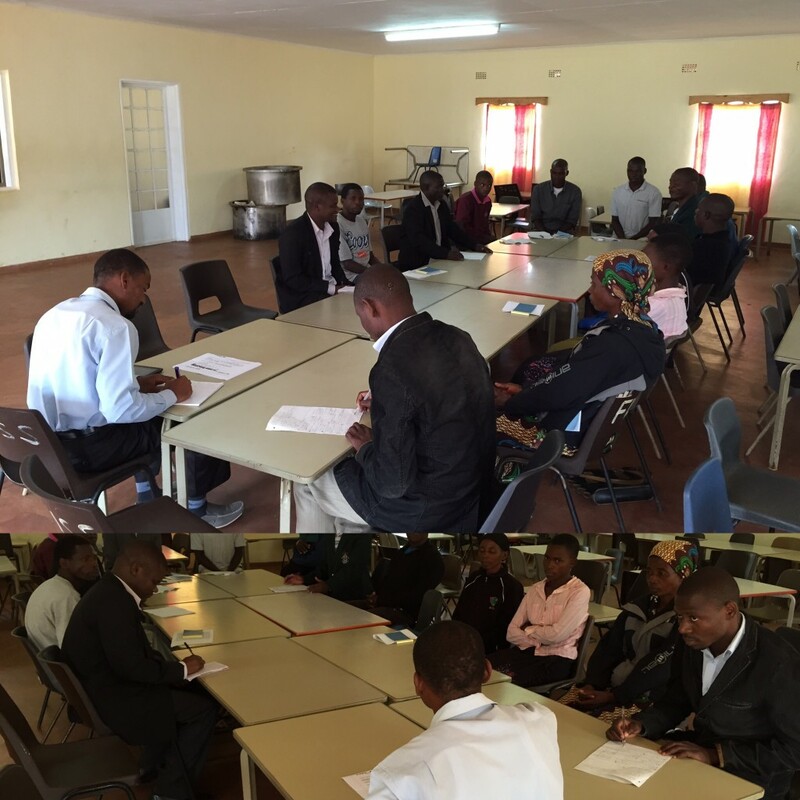 The training was organized by Student Christian Organisation of Malawi (SCOM) as part of their project activity. Students from five schools attended the training and each school was represented by seven students. 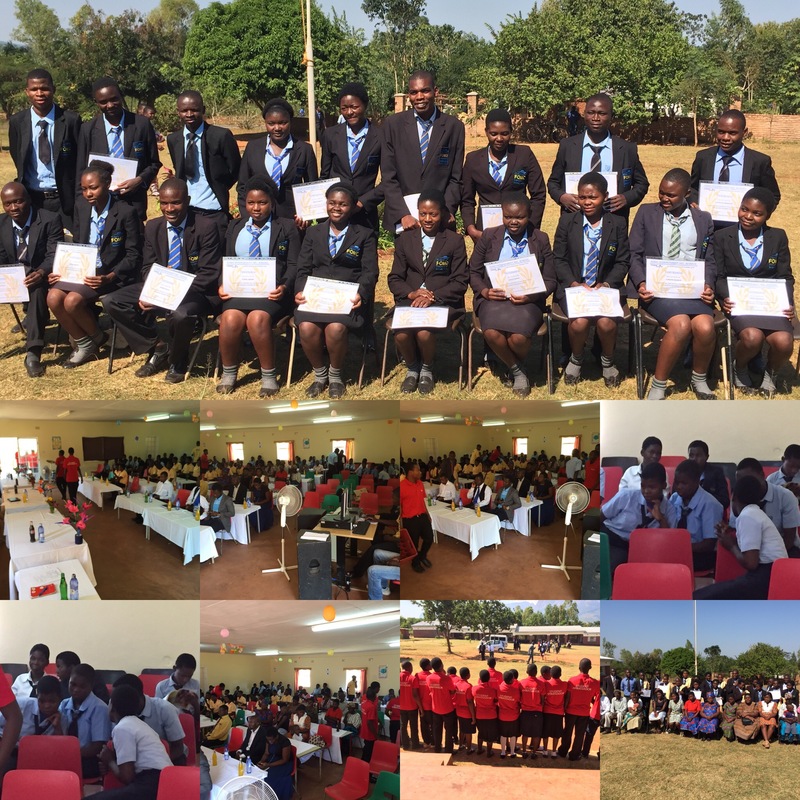 The represented schools were, Mulanje, Saint Andrews, Mulanje Mission, Mount View and FISS. The form three history class students from FISS had an educational visit to Lomwe headquarters situated at Chonde right here in Mulanje. The aim of the visit was to appreciate the Lomwe culture as it is now part of the new curriculum. In the month, the wildlife club members also had an educational visit to Mulanje Mountain Likhubula in particular to appreciate nature. See attached pictures. FOMO’s AGM: Will be held on the Friday 9th February 2018. The purpose of the AGM is to elect a new committee to serve as trustees of the charity and to give an overview of FOMO’s accounts and activities during 2017. A chance to chat and meet. Refreshments will be served and all are welcome. Based on GDP, Malawi is now the poorest country in the world but this is only part of the story. Over 80% of Malawians are subsistence farmers, with virtually no cash circulating in the rural areas. Over 90% of the population do not have electricity or running water. To the few that have electricity, since the floods last year it is being rationed. Life is not getting any easier and FOMO still has a major role in making a difference to the most vulnerable. FOMO is facing financial challenges in 2018 which is exacerbated due to the high inflation, (Food 28.3%) in Malawi the unexpected floods and container costs, FOMO if it is to survive, will need a large injection of cash as we are running at less than one year’s running costs. 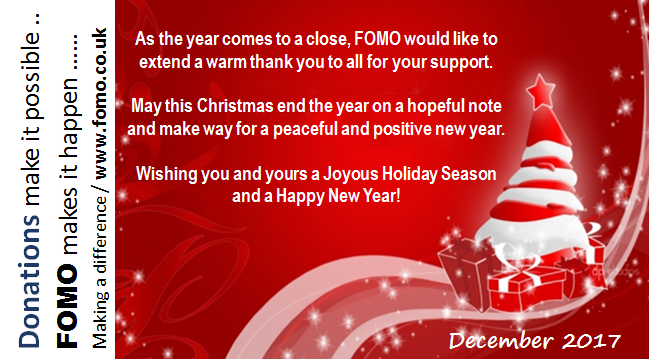 Everyone has made a very great effort during 2017, with many personal fund raising events, but we will need to keep up the hard work if FOMO is going to make it into 2018. If you require clarification or further information we are always here to help. A visit to Soche Techincal College by FOMO Independent Secondary School (FISS) IT students to gain a better understanding and knowledge of the college’s work and hopefully find a vision for the future. FOMO Mwamadi children visit Mayi Harriman Girls Secondary School in Mulanje. Entertaining each other with song and drama. Brothers and sisters, Christian and Muslim together in peace we stand. 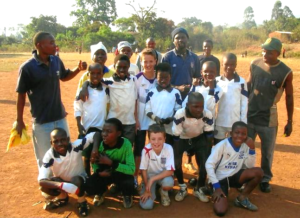 The most popular sports in Malawi are football and netball FOMO has many teams in both these sports supplying kit and promoting training to both FOMO and local teams. Games are played every week and FOMO supports teams in the local leagues and runs its our tournaments a couple of time a year. Kit. balls, boots, travel costs all need funding, if you can help please contact us or donate through the donation button. 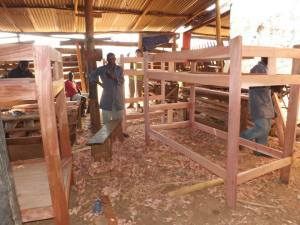 The villagers at Mangani are building a centre with the help of FOMO. 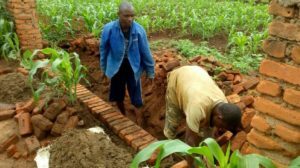 The village committee supplied the labour, bricks, sand and started construction, FOMO to supply roof, window and other high cost items. Disaster came after several days of very heavy rain, which not only brought down the building, but also a number of wall and houses. This is a major setback, but the clear up has started to save the bricks and hopefully work can resume when the rains have finished. This building does need some funding as to rebuild they will have to buy more bricks and cement. 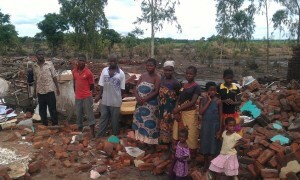 At the moment the cost of the rebuild is very high and is out of reach of the villagers. FOMO over the years have put in a number of water tanks to collect water from the FOMO centre and school hostels roofs. The water collected though not suitable for drinking without treatment helps to supplement water used for washing, laundry, toilets and small vegetable plots. We are pleased to announce that we have to date installed ten 5000/6000 liter tanks funded by private donations, Rotary Club of the UK and the German Embassy of Malawi Fund. The main problems are supply materials, supply of hand made bricks, sand out of the river, high rise in the cost of cement, limited supply of imported guttering, pipes, clips etc. It all a bit of a challenge, but manageable. If you wish to fund a tank it cost £500 per installation and will help to reduce the fluctuations in water supply. It’s good practice makes sense to install tanks and reduce the need and cost of boreholes or treated mains water for those lucky few who are connected. The Marathon starts between Fort Augustus and Foyers. It then follows the route (B852) down to the edge of the loch at Foyers. Runners will then follow Loch Ness’s south-eastern shore, making their way north-eastwards towards Dores at the northern edge of the loch. After Dores, runners head into the centre of Inverness, traversing left over the main bridge in the centre of town. They then turn left again following the River Ness for the last half mile to the finish line at Bught Park in Inverness. 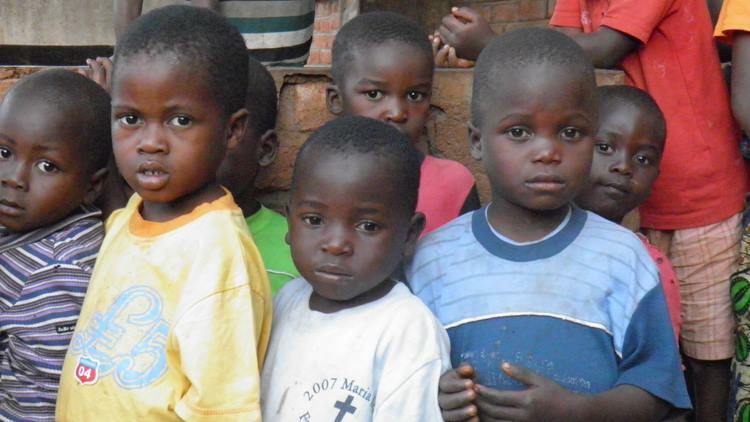 FOMO supports vulnerable children in Malawi needs your help in opening a shop in the South Ribble area. Emma Whitlock, who is spearheading the campaign, said: “The funds that are required to continue our work are raised by volunteers and supporters of FOMO. To support this huge fund-raising challenge and to create a hub for the our activities, we have decided to set up our very first charity shop. Read more on Lancashire Evening Post Click Here with video. Help Purchase a Life Saving Monitor? 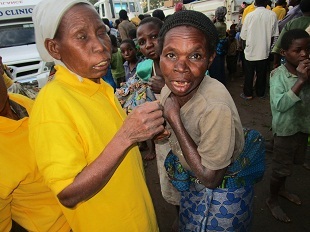 News about HIV/Aids in Malawi has trickled away, but new cases are still occurring and the essential long term care is still on going. HIV patients need regular blood tests to monitor and assess their treatment and progress. Haematology analyser is the essential tool to check the patients Full Blood Count. Number of red / white cells and platelets in the blood. FOMO is moving away from Justgiving due to the high monthly fees. Fees have risen from £15 to £18 and the monthly fee is now over £48 + the 5% fee on donations. FOMO has moved to Mydonate run by BT and offers the same facilities as for donations and event pages, but there is no monthly charge. Have fun with your events and make a difference. Late last year we, after only a few months of construction, were delighted to finish the new science block. The block consists of three science rooms each dedicated to its own discipline, (Physical Science, Biology and Agricultural science). Each classroom has its own secure store and can hold up to 50 students. In addition we also added an activity room for the students. This room is used for the many school clubs and is also a big hit with the teachers as it is both light and airy. Additional Lab Equipment: Test tubes, stands, Tripods, dishes, microscopes etc. Text books: Malawi is moving to a new syllabus and exam structure and therefore we need to buy the new curriculum books for the children, teachers and school library. Additional tables and chairs for the activity room, the one we have are designed for primary school children and we need to purchase new tables and chairs to suit our age group. The school is now almost at full capacity we have only 2 places left out of a maximum intake of 400. 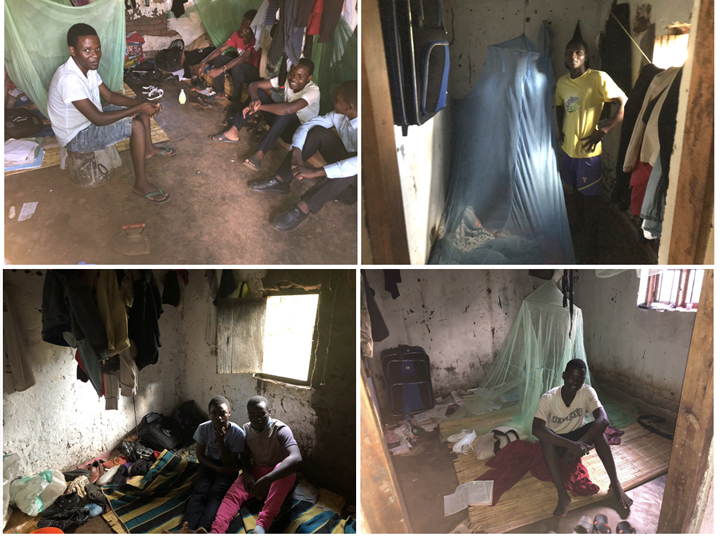 The Girls hostel is full with 92 students, but we need funding to build a boys hostel as we have 60 boys who are self boarding, (renting) as it is too far for them to travel home on a daily basis. To donate please follow the donate button. This is a list of some of the FOMO’s achievements in 2016, and we would like to say a big thank you to everyone that has contributed to helping the children and trust that you will help us once again in 2017. 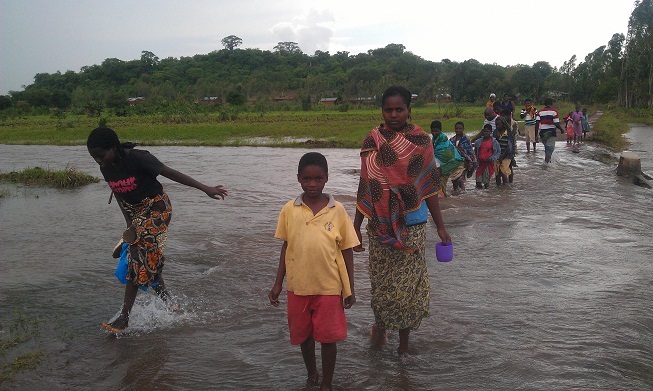 FOMO has been there, helping through the floods, failed harvest, providing formal and informal education, health care, food security and activities to the children and local community. 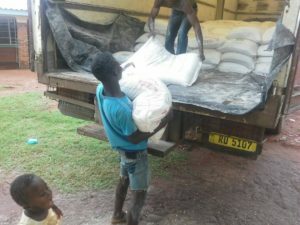 Its has been a bit of a financial struggle this year, poor exchange rate, (Brexit), Malawi’s inflation running at nearly 30% for basic food, (Around 22% for everything else) but we have refined our operations and made it though with the hard work and generosity of everyone, we say a big thank you. 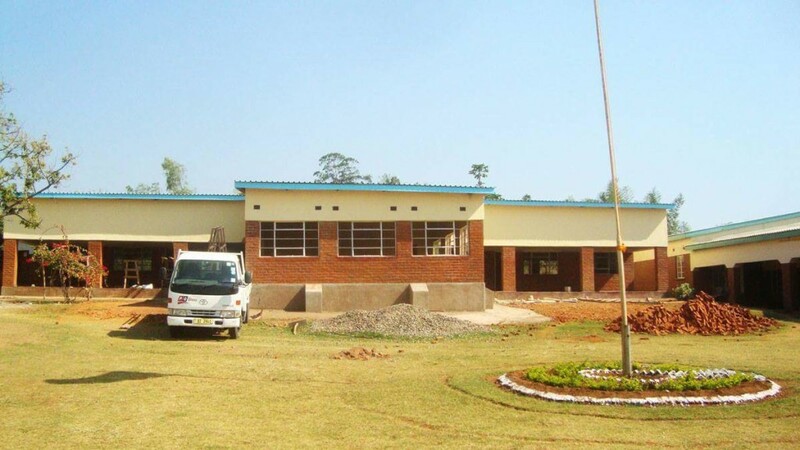 Looking forward, the FOMO secondary school, in it’s forth year is making a big impact on the surrounding community with 400 children coming from all over Mulanje district and beyond. Our four major problems to address at the school are funding for a generator, (Due to the constant power cuts) Science block furniture and equipment, building of a boys hostel, (We have sixty students self boarding which is not good for their security or welfare) and due to curriculum changes additional text books. We in 2016 refurbished FOMO Kadawere, but the other 13 centres all need some attention, particularly Chimyana which was swept away in the current storms and really needs a brick building. The clinic is stable, but as with all health units needs constant funding for drugs/supplies to support the children and community. After school activities include football, netball, art club, drama, photography, choirs, updating mulanjemag.blogspot.co.uk, (online news run by the children) and much more, all need a little help from time to time. FOMO FC raises some funds from the games, but at 22p pp, (Children free) to watch a home game, does not cover its costs, but it’s a start. As FOMO goes into 2017, the essential work continues, its not glamorous or headline grabbing, but stable and steadily, making that one to one direct difference to over 3,500 children and support staff. With your support the work of FOMO will continue as long as we are relevant, we have over the last 16 years helped tens of thousands of children, saved many lives, made a difference in a direct way. There is still much to do, so lets make 2017 the best ever. As we travel through time marking calendar dates, anniversaries, religious events, birthdays or just that we woke up to a new day FOMO has many points in time to reflect on. Remembering these times may be not as ones you would first expect, say the day we started, or the opening of a centre, clinic, or school these moments are bright stars or stepping stones and need only a sincere thank you to everyone. What is important is those precious moments, when a child first goes to or graduates from school, that we or someone is on hand to take the sick to hospital, or there is food on the plate for another day, the sound of children happily playing or learning their ABC in a safe caring environment. These are the moments to cherish and remember. There is no need for a big party, but there is time to reflect on the generosity of many, many FOMO volunteers and supporters for their time and donations that make these small, but treasured memories possible, bringing life, joy and hope to thousands of children. As we quietly slip into 2017, it brings a new dawn and endless possibilities to make a fairer world. It is a traditional to mark the coming of a new year with a resolve to be better in someway. I, as I said on the first day FOMO started, make no promises, but only to work hard to improve the lives of the children in Malawi. I hope you all will join us to give these children a chance of life and an opportunity to fulfil their lives. We have over 3,500 children, many plans and projects that need funding if you can help it may not change the world, but it will make a positive change to the children. 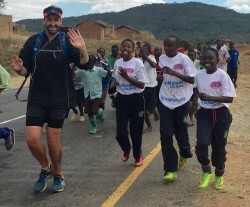 After completing epic #runmalawi, Brendan is on the road again. This time he is running from John O’Groats to Lands End to raise money to build a boys hostel at FOMO secondary school in Malawi. 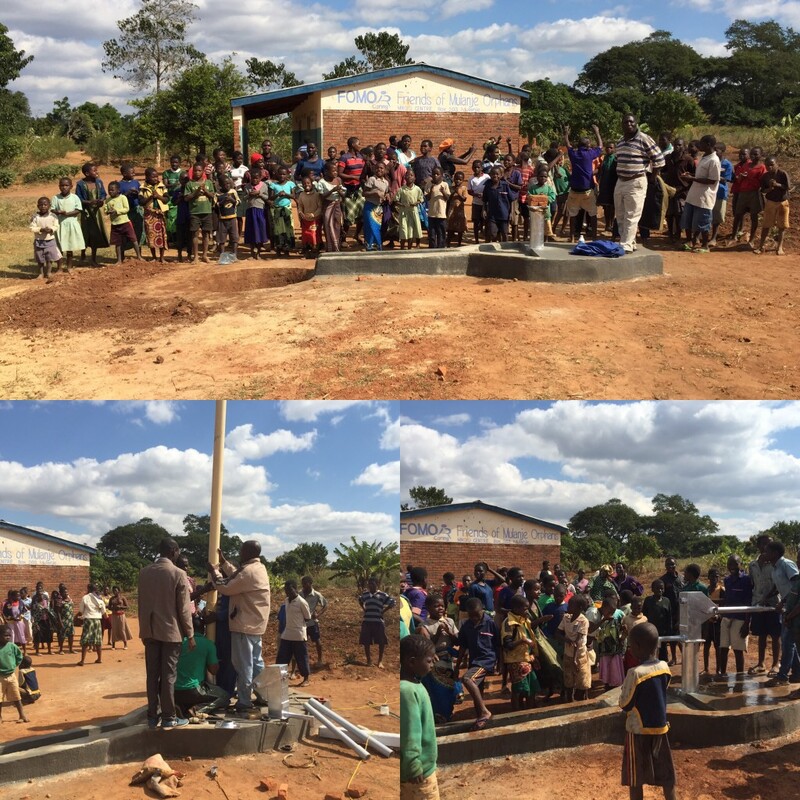 I completed running the length of Malawi in July 708 miles in 27 days raising £35,268 which funded the building of the science block for FOMO ‘s secondary school – the building work is now finished and together we have created something incredible – education for the children at FOMO. So what’s next? 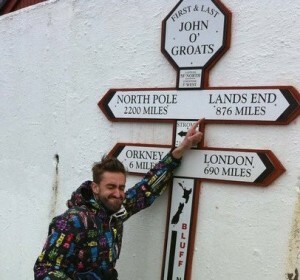 Having cycled John O Groats to Lands End in 2011 it seems fitting, 5 years on, that I should run it and as I was selected as an Ordnance Survey #Getoutside Champion 2016 it will be incredible to see our beautiful country on foot. The vision is to inspire people to #Getoutside but also to highlight how incredible and diverse the outdoor spaces are in Britain. The run shall see me start 19th Sept 2016 and I am hoping to finish it by the end of Oct. I want to enjoy this run fully and I am not adding the pressure of a timescale but instead seeing how I feel as I head south. 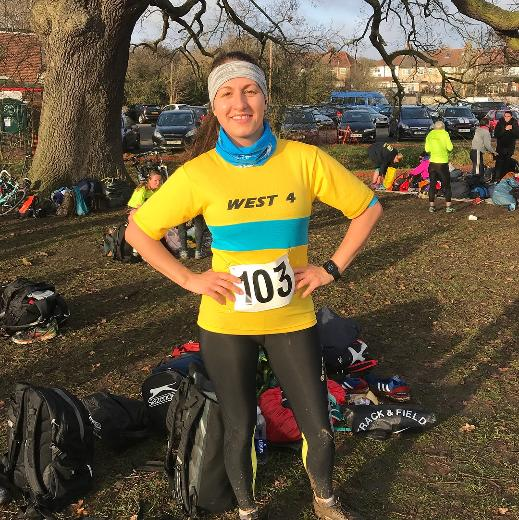 Please follow the tracker or any of my social media – everyone is welcome to come and join me run/cycle – so come on everyone! – #Getoutside! 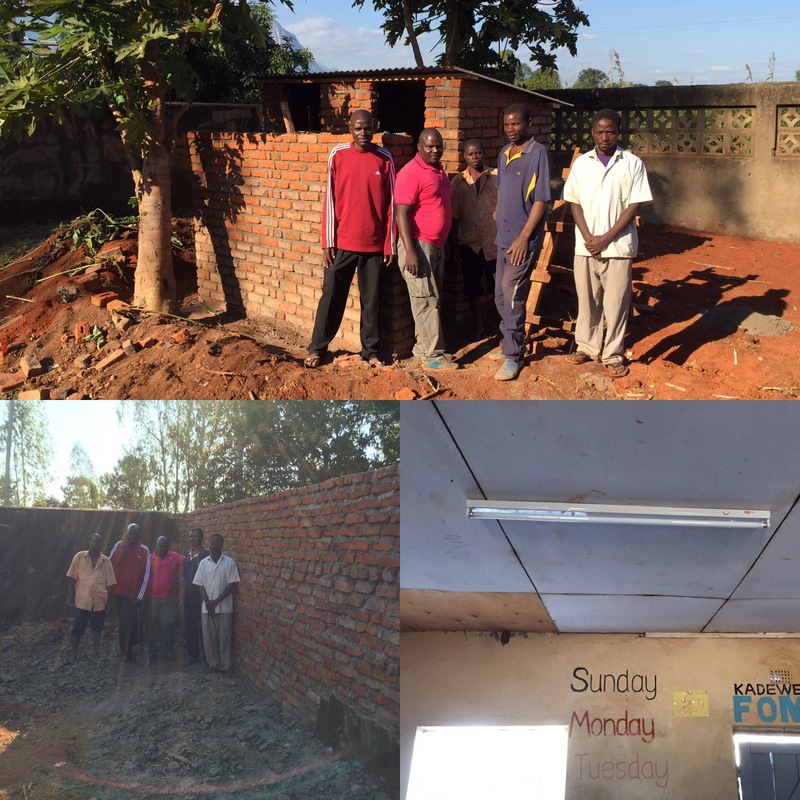 We are please to announce that we have completed the new Science and art block at FOMO’s Secondary school. 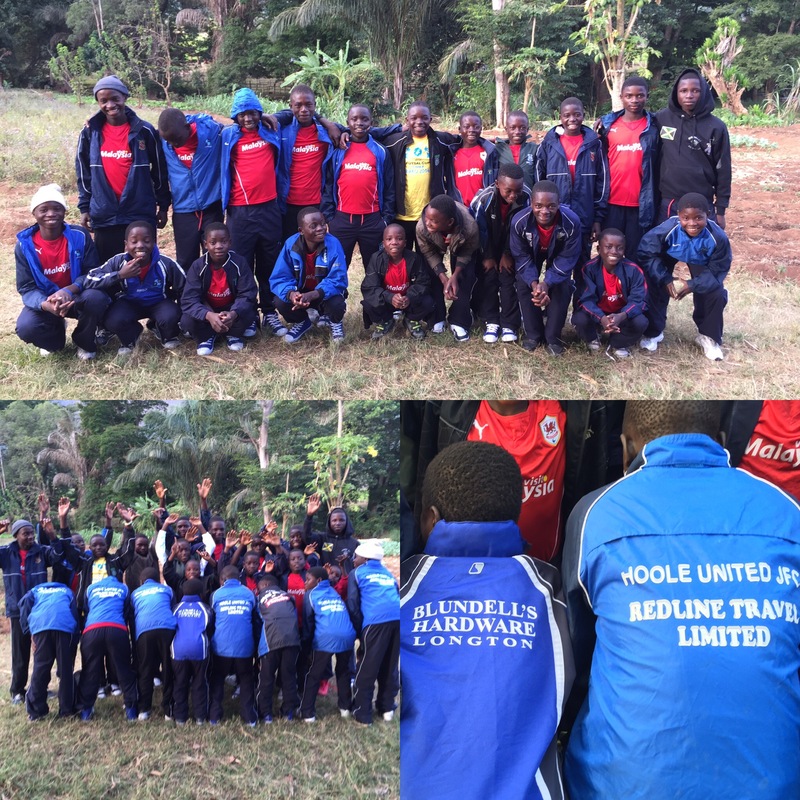 Funding was achieved as a result Brendan Rendell’s epic trip thought Malawi. Brendan completed 27 marathons in 27 days, camping at government primary schools along the way. Though the building is completed, we still need furniture, (desks etc) and school lab and art equipment before the classrooms are fully functioning. For those unaware of #runmalawi, in brief, Brendan Rendall ran in hot, cold, rain and sunshine the full length of Malawi and covered a staggering 708 miles in 27 days. Why? you may well ask. The aim of the run was to raise funds to build and equip a Science and Art block at FOMO’s Secondary School for orphaned and vulnerable children. To this end, supporters have kindly and generously donated £32,771 of the £35,000 target. Its time to spread the word, (Share, Share, Share) of this fantastic achievement and dig deep, look under the bed, route around the sofa etc to see if we can help Brendan and FOMO over the £35,000 finishing line for phase one of the project. 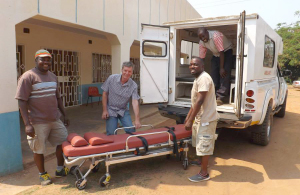 As festival season of Christmas and New Year Celebrations is drawing near, where in Malawi it is anticipated that accidents in general do increase; the Malawi Blood Transfusion Services (MBTS) has embarked on blood donation campaign. This is in preparedness of the hospital to make sure that they have enough blood throughout the season. On Wednesday, 25th November, the officials from Mulanje District hospital visited Fomo Independent Secondary to sensitize the learners on the need of blood in hospitals, the importance of self sacrificing to donate blood and explained to the learners as to who is eligible to donate blood. Over fifty students volunteered to donate blood. On the afternoon of Tuesday, First of December was our school’s turn. 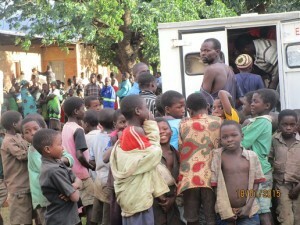 Forty Five students were ferried to Mulanje hospital where they donated blood, the “gift of Life”. 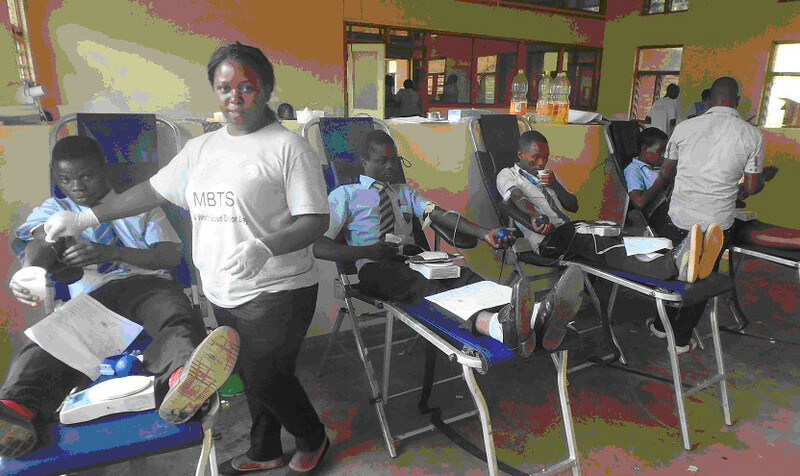 The school has been involved in the blood donation exercise since its inception. 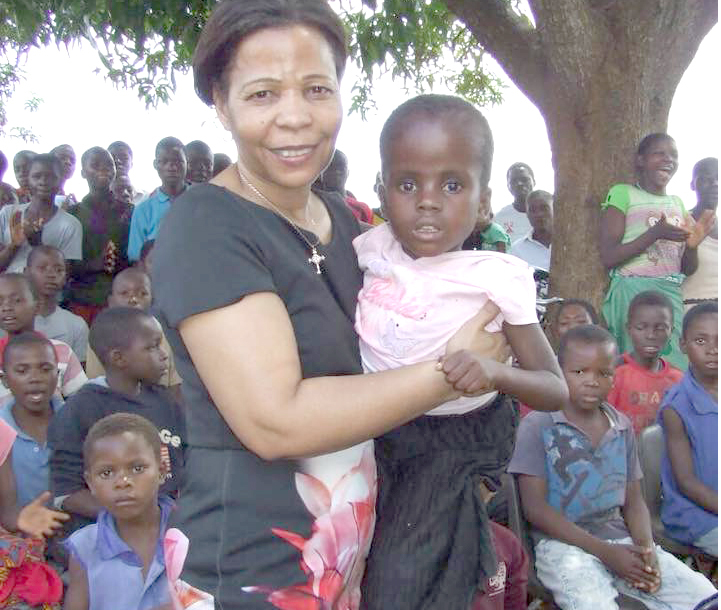 Students need to learn to sacrifice and give back to mother Malawi. They need to always be willing to help their fellow students in needy, the elderly, and the sick among others in the society. Blood donation is one way through which the spirit of sacrifice is manifested among the learners. The school is grateful to note that the number of those willing to donate blood is ever increasing. 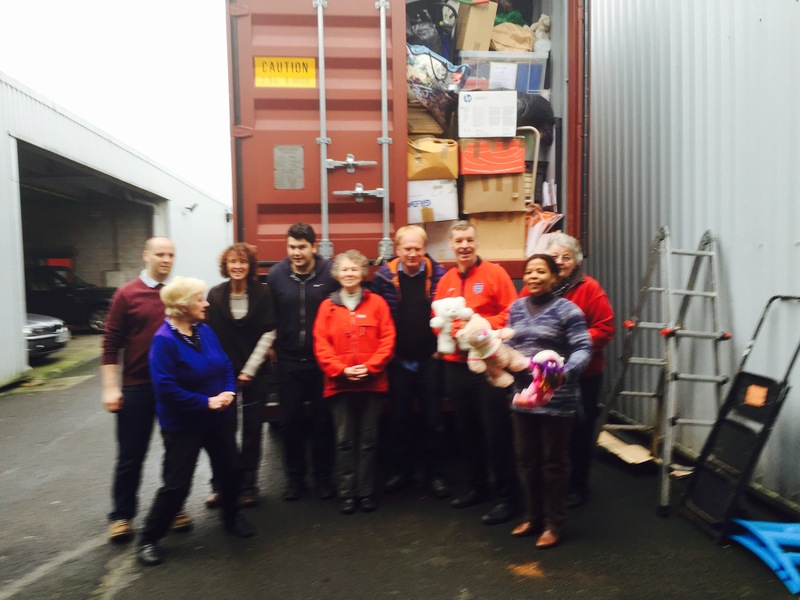 There were many new challenges this year in getting the container away, but with all your tremendous support, freely given, over the last couple of months the container left on the 4th Dec. We would like to say a big thank you to all that contributed, both with goods and financially in making it possible to send a fully packed container. Click Here or try our new PayPal , (click) facility. Saturday 5th of December, at Mary’s house – Raising funds for food for the children at Christmas. Open House, Bring and buy, Mince pies and drinks. All welcome. 10am to 4pm. 29 Liverpool Old Road Walmer Bridge Preston PR4 5QA. Container – but no way to go !!! Just when you thought things were going, if not well, but OK, out of the blue a new opportunity presents itself. 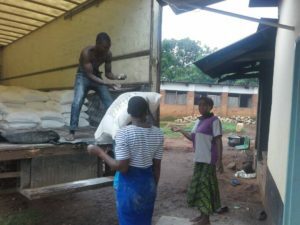 The cost of sending the container from the UK to Malawi is in two parts, £6,800 at the UK end and £1,500 at the Malawi end. Even a small contribution will help. A brief glimpse in to FOMO in the last four weeks. 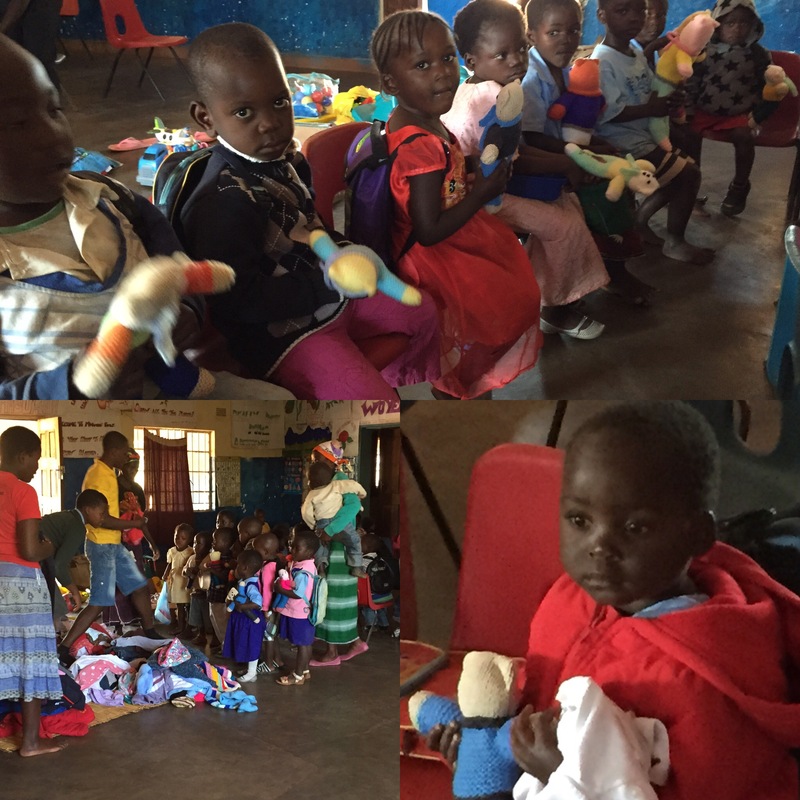 Friends of Mulanje Orphans (FOMO) is a community based orphan care programme supporting over 4,500 children through a network of 14 centres in Mulanje district of Malawi. FOMO Independent Secondary School (FISS) celebrated it first passing out of the form 4’s this year. Like any parent, our expectations are that they will all do well and we wish them all the best for the future. The school is only in its 2nd year of operations and is running just over 50% capacity, but it hoped that over the next two years if funding, allows we will be up to full capacity which is between 400 and 500 students. At the moment we have a girls hostel with a capacity for 88 students, a boys hostel is urgently needed. There are still many challenges ahead, but with your continued support we can give the children a future. Staff meeting and some of the form ones in class. Clean water is essential to everyone, so it is with great pleasure that with a kind donation from the Soropitmist’s of St. Helens, UK we were able to fund our 15th borehole. This might seem few over the 15 years we have been operating but to the thousands of people it has helped it means everything. Enjoy the video as we have the first water coming to the surface. The more we have, the more we can do. I was unable to get around most of the centres due time constraints, but remember though we have buildings a 5 centres, most centers are only simple bamboo constructions some of which were washed away during the floods and reconstruction is tacking place slowly. We still need permanent buildings at 9 centres to act as community centres and house the play schools. Some of the centre reconstruction was only minor, but essential. 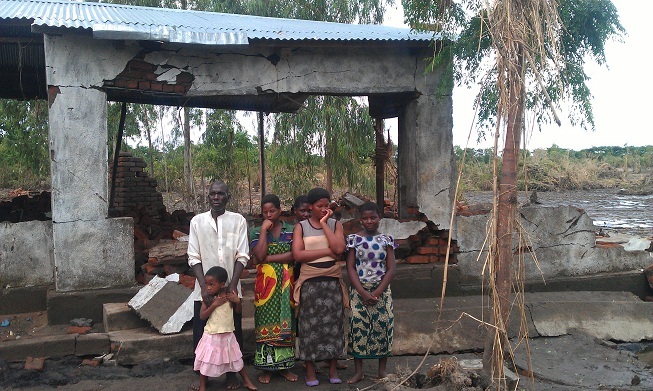 At Kadawere FOMO centre the floods damaged the toilets and perimeter wall. Reconstruction was able to go ahead with a kind donation which also allowed us to bring electricity for the first time to the centre with all the advantages that will bring. We have done our bit we are just waiting for ESCOM (Electric Board) to connect us. When I left the toilet block was almost finished, but look for other updates in the future. Man down the hole digging the toilet, at the moment he is about 3.5 meters down, only a couple of meters to go then it will be brick lined, a reinforced concrete slab put on top the actual building, see above the almost finished building. The FOMO clinic has been operating for many years and providing services to the FOMO children and to the local community. Late last year the Clinic was registered as an HIV testing centre. Early this year we also became a ARV treatment centre. As part of this on going commitment to the community we are in the process of constructing an ARV treatment and education facility at the clinic. We have staff on training at the moment to deliver the ARV treatment and education. With HIV new cases mostly amongst the young running at 10% of the population there is still a lot to do. The clinic will never make money, but with your support it will save lives. 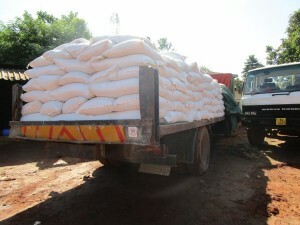 Food security is vital, and FOMO like many others were hit by the floods and missed the main crop of maize, this is a major problem and prices on the open market are expected to rise considerably over the coming months, making starvation a reality. 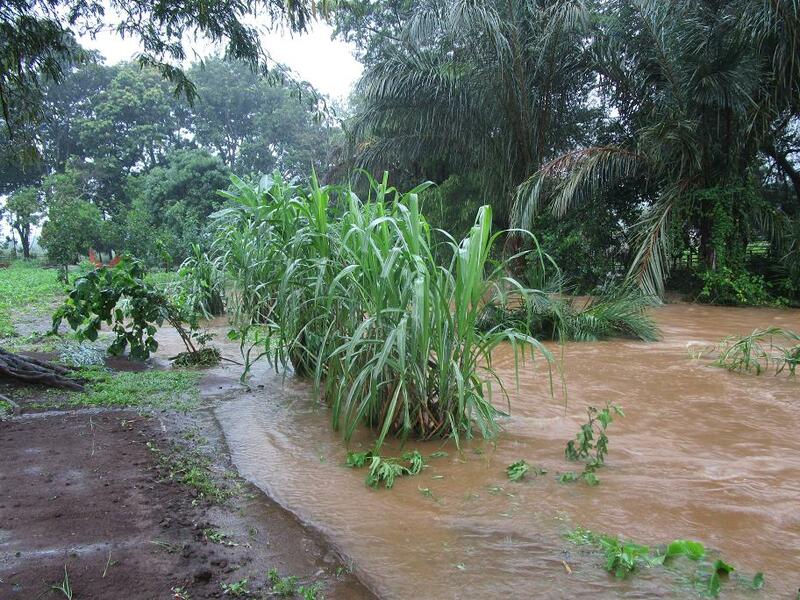 Many including FOMO have planted cassava, but this will not meet the food shortage. 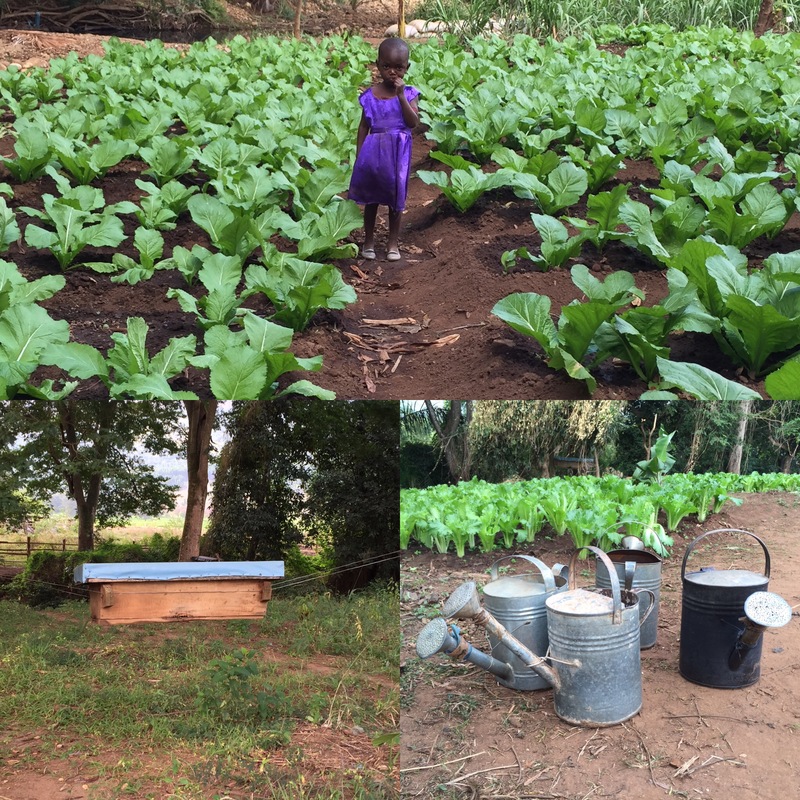 FOMO has a small plot 2.5 hectares and are using it to the best advantage, by growing peas, cassava and as pictured chinese cabbage. 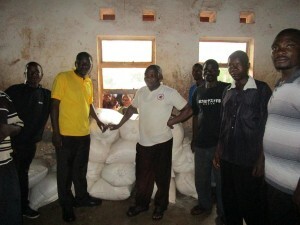 This small crop helps to supply the school and FOMO centres nearby, but it nowhere near covers the food required to feed the 4,500 children in our care, staples like beans and maize are required in large quantities, 20 tones of maize which lasts about 3 month costs around £5,600, ($9,000). Beans are more expensive per tonne, but we also use less. 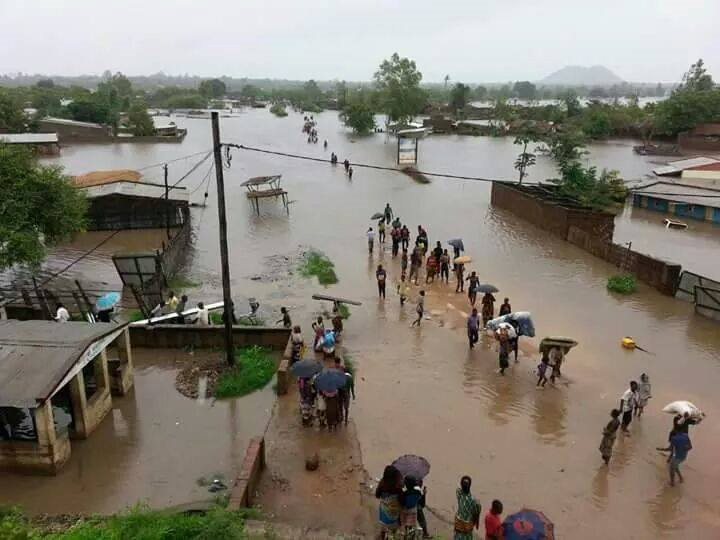 The floods hit hard, but the media coverage was almost non existent, don’t forget Malawi people in the rural areas are in real trouble. The long term solution is mechanisation, (Tractors etc) there is only so much that you can cultivate with a hoe and a watering can. We have the capacity and vision to make the change, what we need is the funding. Girl in the picture, who followed me everywhere, is called Tally and is 3 years old. Hopefully we can give her a better future. FOMO believes that some income should be generated in Malawi by Malawians. To this end we have a driving school, Maize mill and computer school which generates a little in Malawi. With incomes on less than a £1 a day, the opportunity to raise significant amounts is limited and your individual donations are an essential life line to enable FOMO, work to continue. We are always trying, and last year we had our first fundraising day at our school in Malawi which was a great success and this year we are to hold another on the 5th July. There will be all sorts going on games, entertainment, food etc. The organising committee, drawn from the school, community and FOMO centre committees below is well on its way to finalizing the event. Why don’t you join hands across the world and organise an event for FOMO in July. 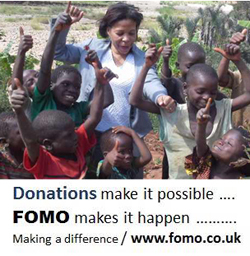 Remember 100% of your donation (minus bank transfer charges) will go directly to FOMO work in Malawi. The UK trustees are not paid, but true volunteers – make 100 % of your efforts and donations count by supporting FOMO community care programme. FOMO when it can will help to develop their interests. Like so many places sport brings people together to have some fun even for a brief break from the task of surviving the daily needs. FOMO over the years has developed and resourced many activities, football and netball being at the top of the children’s lists of fun things to do. FOMO has at least one team in each centre, a team that plays in the school league and FOMO first team that plays in the southern region football league. We run a sports bonanza twice a year, all teams are welcome and we normally have around 50 teams both football and netball joining the two day events. FOMO with the local communities help provide training after school 4 days a week. The under fourteens and FOMO’s Senior team both play weekly. In the past we have done very well winning or being in the final of both the local and southern region leagues. FOMO can’t justify purchasing its own kit when people are so desperately in need of the basics, but many people have helped us with kit including KitAid, Tarleton FC and Mary’s favourite team Liverpool FC, (Other teams are also welcome) but we always need more kit including shin pads, sets of numbered shirts, boots and balls. FOMO helps to promote sport in the community and supplies kit and balls to teams other than FOMO that are struggling. We also help with registration fees and transport to games. Be a part of this, the game is loved all over the world, and maybe one day FOMO will have a player in its national team. 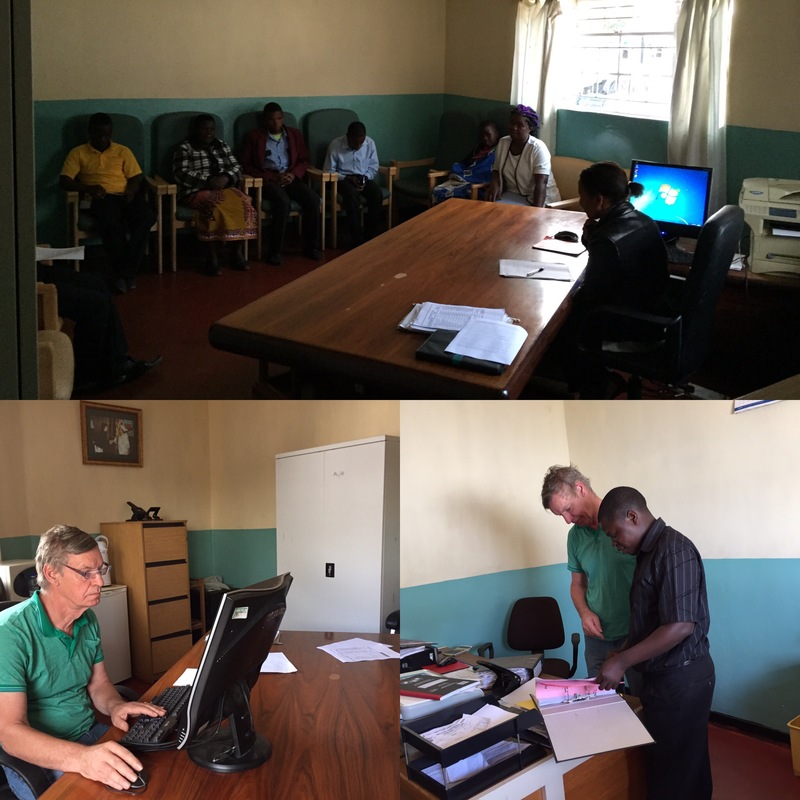 To ensure everything is accountable and transparent, we all have to do the paperwork both in the UK and Malawi. The accounts are of course at the top of our list to ensure we give you the best value for money, but everything else needs to be done. A few examples: charity, vehicle, clinic school registrations, meeting and responding to the government’s regulations, purchasing food, drugs and school materials, clearing the container, ensuring the general essential maintenance is carried out to the buildings, vehicles, meetings at the school, clinic, centres, TA’s, Chiefs, Government bodies, arranging internal staff training and the list goes on, planning and arranging visitors, though this is a bit hit and miss as many just turn up to have a look at what we are doing which is not a problem and if you are the area please drop in, not forgetting collating information for the website in the hope that you can feel a part of this work that many have contributed to. 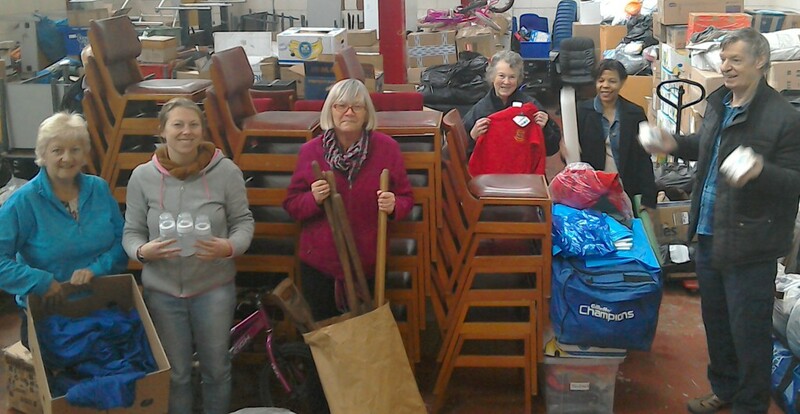 A lot of effort by people collecting, packing and sorting of clothes, shoes and other items goes on in the UK. (See container list on our web site for things we need). Equally the sorting in Mulanje by our volunteers normally goes on till well after mid night for distribution to a centre, and we have fourteen. 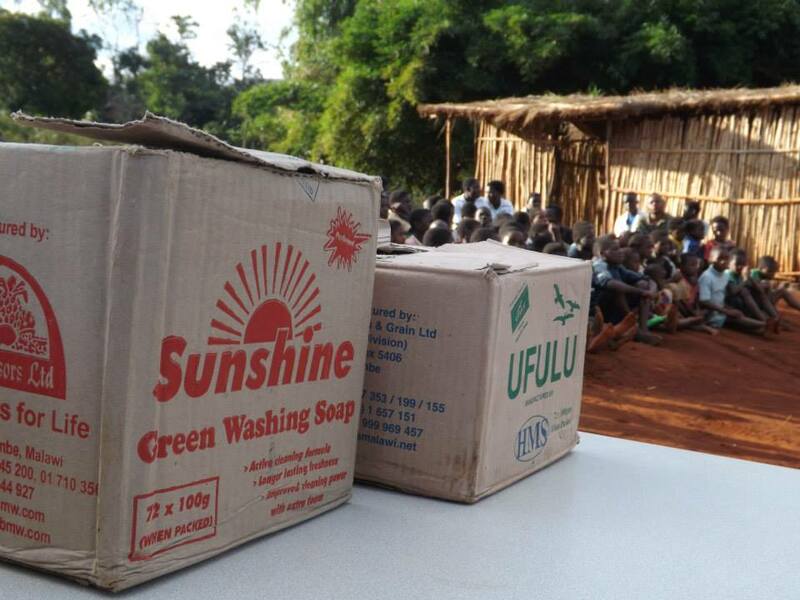 Clothes, shoes, personal items like soap and toothbrushes/ paste, blankets and mosquitoes nets, (when we have funds) all have to sorted and packed to ensure that no child is left out. Sorting and distribution happens throughout the year, but the main times are just before the cold season, (and it does get very cold) and just before the rains. 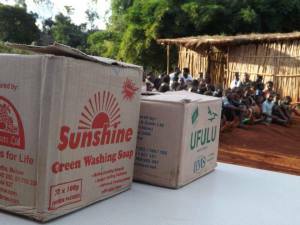 Other items such as school materials are given out 3 times a year just before the school term starts. Sport kit is given out when required. 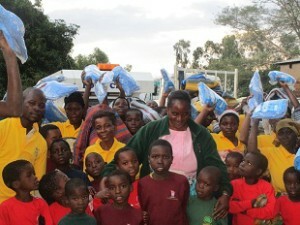 Other larger pieces of equipment for the clinic and schools are handed over as soon as the container has been cleared. All in all it is a big job on everyone’s part for which we say big thank you. Picture one of the football teams receiving some kit and shoes. 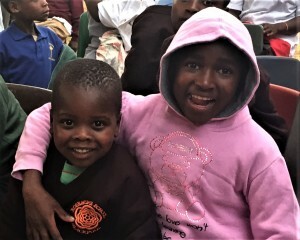 FOMO covers all aspects of the children’s welfare including health through our outreach clinic, formal and informal education, food security and production. The programme also covers pre-school, out of school activities and further learning through our play schools, computer, driving and tailoring schools. The programme also covers the provision of school materials, personal items (Soap, clothes, blankets, and mosquito nets) and community much more. The programme is run by a very small staff with over 200 local volunteers; our funds are raised by a small, but resourceful volunteer committee in the UK. FOMO provides direct aid and reaches out to many thousands of orphaned and vulnerable children, but we do need a regular source of funding and your personal donations are both valued and appreciated. 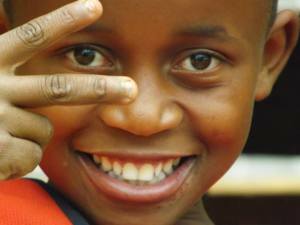 FOMO established June 2000 is a registered charity in both the UK & Malawi. 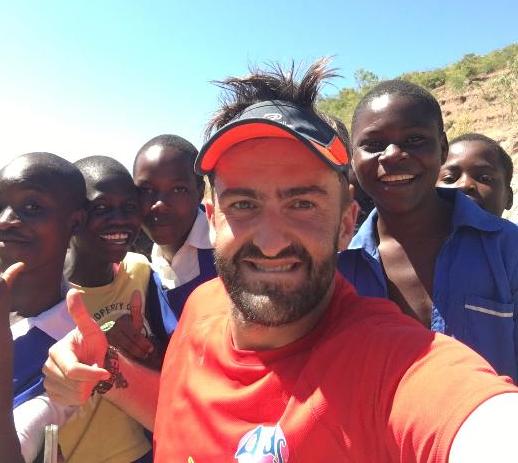 A Salford University graduate whose trip to a Malawi orphanage made him realise ‘we’re all here to help each other’ is now embarking on THREE marathons to raise cash for those who inspired him. And the go-getting marathon man, who has also quit his retail job to pursue a life teaching, isn’t cutting any corners in doing so, as he plans on tackling the three gruelling tasks in just three months to raise the £35,000 needed for the Malawi children. 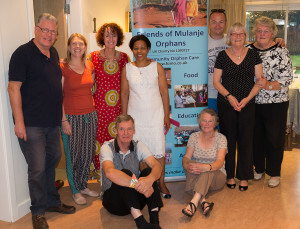 Brendan Rendall will give the money to charity Friends of Mulanje Orphans (FOMO) so they can build the art and science block of a secondary school in the south-east African country. To support this worthy cause – one which has been close to Brendan’s heart since his first visit to Malawi back in 2008 – he will be running the Manchester Marathon on April 19, Windermere Marathon May 17 on, and a gigantic, mountainous 55km Ultimate Trail Challenge on June 27. The 36-year-old, who is originally from Somerset, was introduced to the organisation through a friend. He visited them in 2009 and was inspired by how the charity supports 5,000 orphans and is solely run by volunteers. 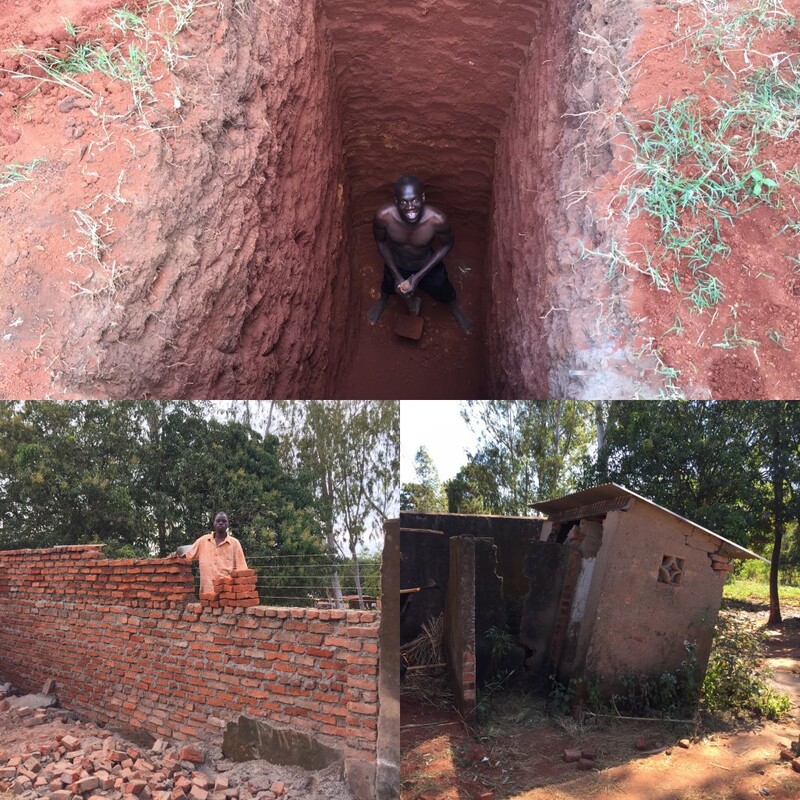 BEST THINGS IN LIFE ARE FREE: After his first trip to Malawi Brendan gave up most his belongingsHe told MM: “I was so impressed by the hard work FOMO have done and it was clearly visible that money was getting to the project. And this is not the first time Brendan has put on his running shoes to help those less fortunate than himself – in fact so far he has helped raise £12,000 for multiple charities. It all began back in 2006 when he and a group of his friends, with absolutely zero previous long-distance running experience, decided to run a half marathon. The group entered the Wilmslow Half Marathon and with a mere three months training and managed to complete the race in one hour 24 minutes. Addictive seems to be the right word as Brendan has since entered a number of races with his best time being one hour 21 in Blackpool back in 2007. Not long after that, the hobby turned into a mission as he joined a team who were set to cycle across Malawi – little did he know this experience would change his entire future. 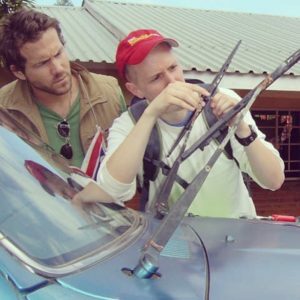 The turning point was in 2008 as Brendan cycled as part of an 11-strong team, visiting a HIV clinic, farming resource centres and orphanages in the African country. When he came back to Manchester he realised how easy he had it compared to so many in the world. He said: “The poverty was clear. 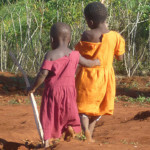 Children were in rags with no shoes but they would run alongside us smiling and giving us high fives. HOPE AND HAPPINESS: Brendan said the children he’s met show incredible resilience in though faced with povertyAfter this, in 2011 Brendan completed a 986-mile bike ride from John O’Groats to Land’s End in just 13 days, and topped it off by running the London Marathon the following day. “The John O’Groats cycle taught me when you dig deep your mind can do incredible things – through the rain in Scotland and the hills in Devon, your mind can really push you on,” he added. From then onwards Brendan has taken on a ‘grab every opportunity’ approach to life and shortly after travelled to Thailand. He also spent six months in India where he trekked across the Himalayas to South America where he then hiked Machu Picchu in Peru and spent two weeks travelling through the amazon. He said: “All of these trips have made me realise that you don’t choose where or what you are born with but being born in the UK, we are so privileged. It’s given me such an appreciation for life. On his initial return from Africa, Brendan sold most of his belongings, he cancelled his phone contract and credit cards as material things became less important to him. 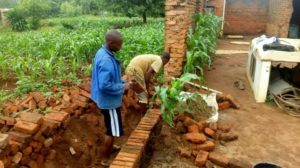 DO YOUR BIT: Brendan needs to raise £35,000 for FOMO to build an arts and science block for a school in MalawiHe added: “My first visit to Malawi has had the biggest impact on my life. I never really had any idea how much it would. The trip inspired and taught me that life is so precious. The marathon man has also volunteered at Rusholme’s Grange School, a school for children with Autism. Although he had no previous experience in the teaching industry he knew he had to have a job which involved helping people. He took a gamble and a pay cut and left his job in retail management to join the school full-time, where he stayed for two years. He then became a support worker working with children with autism across Manchester for a company called Time Specialist, where he has been working for five years. 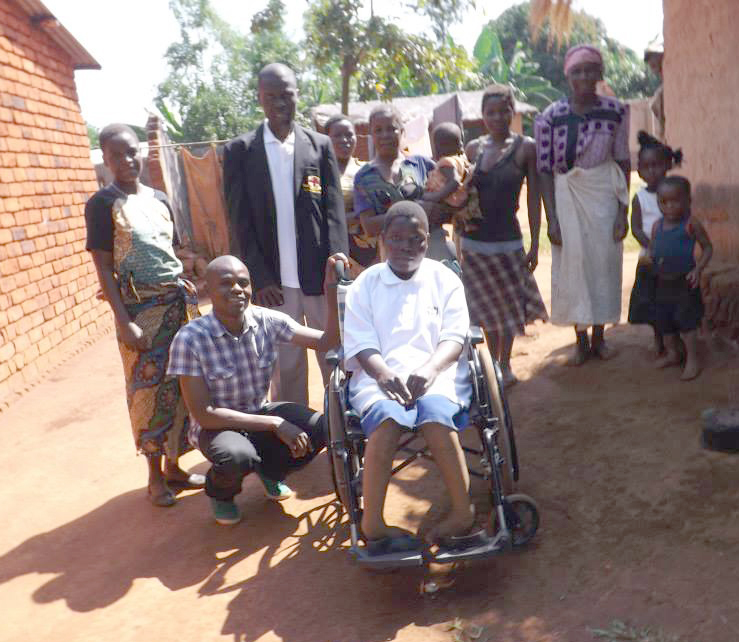 CHILDREN ARE OUR FUTURE: The marathon man realised after visiting Malawi that we are on this earth to help each otherIn September he starts a PGCE in Post 16 Special Educational Needs in Sheffield. In the future Brendan aims to complete the Marathon des Sables – a footrace known as the toughest on earth as it takes place in one of the world’s most inhospitable terrains, the Sahara desert. FOMO’s has 12 centres located across the Mulanje district, ranging from grass huts, small rural churches to purpose built facilities. Their main focuses are improving health care, education and food security but they are involved in every aspect of the children’s lives in the community. You can follow Brendan’s progress on twitter @helpfomo35, and you can either donate online by Clicking Here, or by texting FOMO99 £1, £2, £3 – £10 to 70070. For more on this story, follow Mancunian Matters on Twitter and Facebook. Summer in July – Pat Oliver a local author and play write has written and produced the first in a series of murder mysteries suitable for ages 12+. 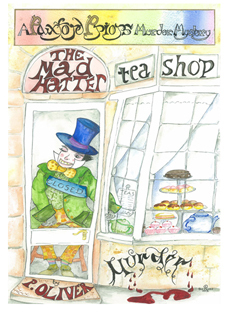 The Mad Hatter Murder – Set in the idyllic, imaginary Cotswolds village of Paxford Priors. Twins Becky and Louise open the Mad Hatter Tea Shop. Viv is looking for new dancing friends when her Morris side the Dairy Maids folds up. Gemma is desperate to start a new life in the village. Students Elly and Molly just want something interesting to do in the summer holidays. During one hot summer, Lady Lucy Percy leads them to mayhem and murder. Paxford Priors gets its first ever crime scene. Meet the men in their lives. A cozy setting, a good plot and a humorous read. To purchase a book and support FOMO please email pat@paxfordpriors.co.uk or fomouk@hotmail.com (P&P + donation) The full amount of the donation will be used to help the children in Malawi. 23/01/2015: More maize has been delivered and is being distributed around the worst hit areas – This is all thanks to your kind generosity. Thank you. We still have many months to go, before things are even a little bit stable again, so please spread the word. With more we can do more. 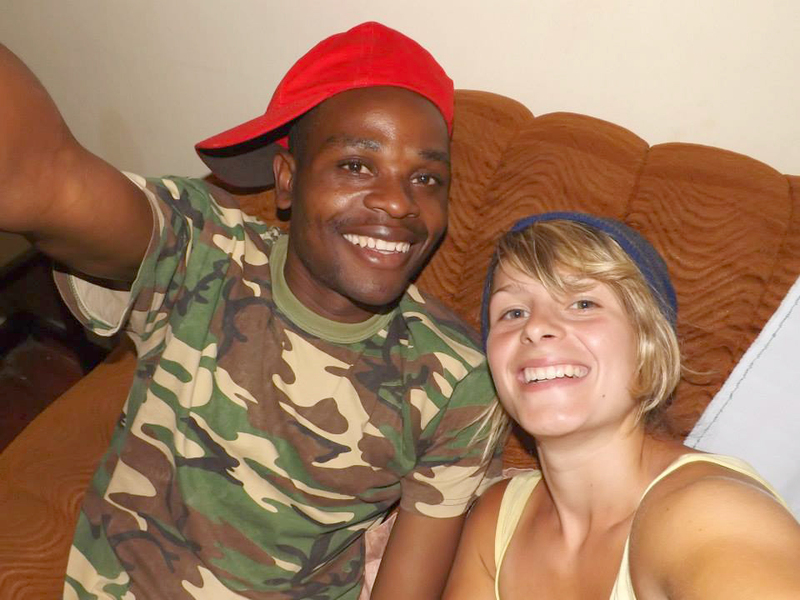 We have set up a justgiving page Click Here 22/01/2015 – Let me report that we went to see T/A Mabuka. He welcomed us whole heartedly. After explaining to him our mission, he honestly told us that though all the villages in his area have been affected, but there is one village close to Mpala School known as Sonjeka, where the whole village has been washed away by flooded Ruo river. 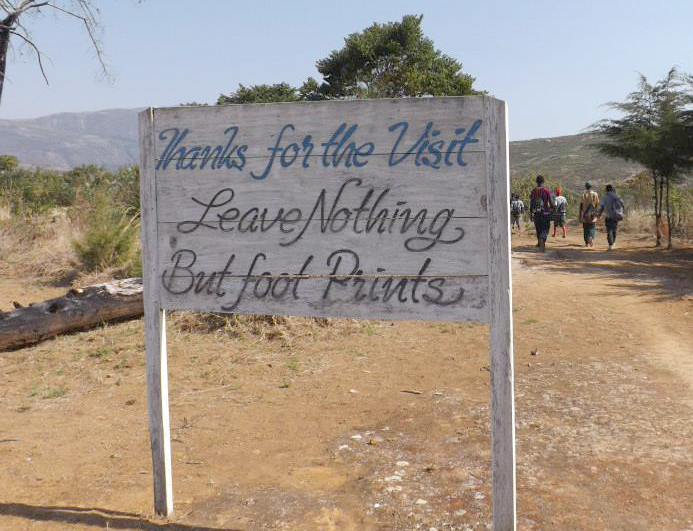 We went there.and found over 50 families taking refuge in Mpala School. 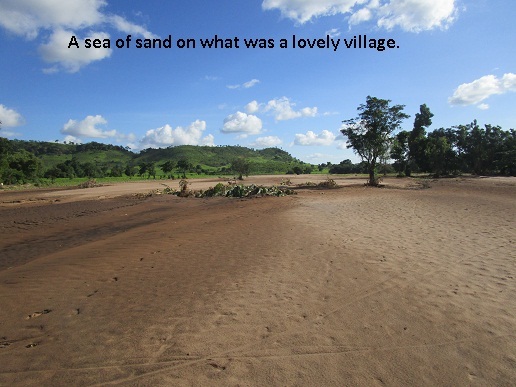 Their houses and fields completely replaced by what I should call a sea of sand. 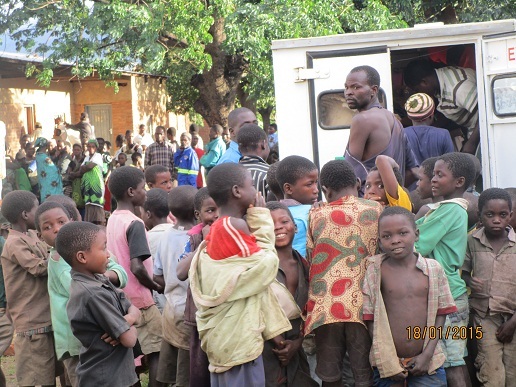 Besides this there also other families from neighboring villages also taking refuge in the same school. There are over 80 families at this camp. We were all speechless and could not believe what we saw. Now we have agreed to go there tomorrow. We are proposing to take 80 blankets, assorted clothes, flour and Nandolo. James is proposing 5 bags of maize flour. But looking at the situation at this camp I thought at least 15 bags if possible. We here by write to report on the aid distribution we had on the 19th of January 2015 as you guided us. 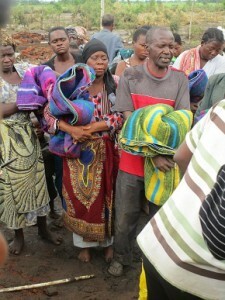 We started at around 6:00am organizing ourselves and taking people to the warehouse to start sorting the clothes. We also sent Mrs. Liphava and Fred to the mill so that we take flour and the grain to the people in need. Having sorted the clothes we left Steven, Mrs. Liphava, Fred sorting out clothes for Phalombe side while We, Amos, James and Mrs.Saliya went to Nkando, Group Village headman MKalilima we managed to distribute clothes and forty blankets which we collected from Mwamadi and about 15 from the stores. On this morning we had no electricity and it was raining continuously. 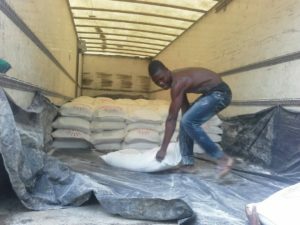 It was so challenging because in the process more and more people began to gather thinking that we were distributing these items to people who were registered by NGO and Government. The Village headman had to clearly explain that we were a different group all together. NGOs and government officials went around the villages writing down every house hold which was affected in one way or the other for example loosing property, collapsed houses, destroyed fields, blown off roofs among others. We however targeted people who were so desperate like the village we visited all the houses were washed away and almost all their belongings swept away. In his remarks the village head concurred with the representative of the affected thanking FOMO for the quick and timely help. In the afternoon we braved the persistent rains and we left Chitakale for Phalombe side. We loaded most of the staff on our truck and the ambulance carried clothes. We visited Mpambachulu School where a large number of families have sought refuge in this school. Other people were at Nthuluwe primary school and others were in a Roman Catholic Church near the school. 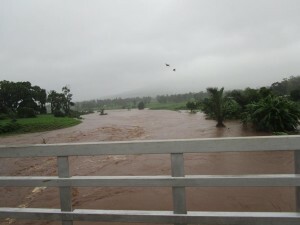 The people had their homes and fields washed away by the floods. We were accompanied by T/A Nkanda and she was of much help in the whole process. 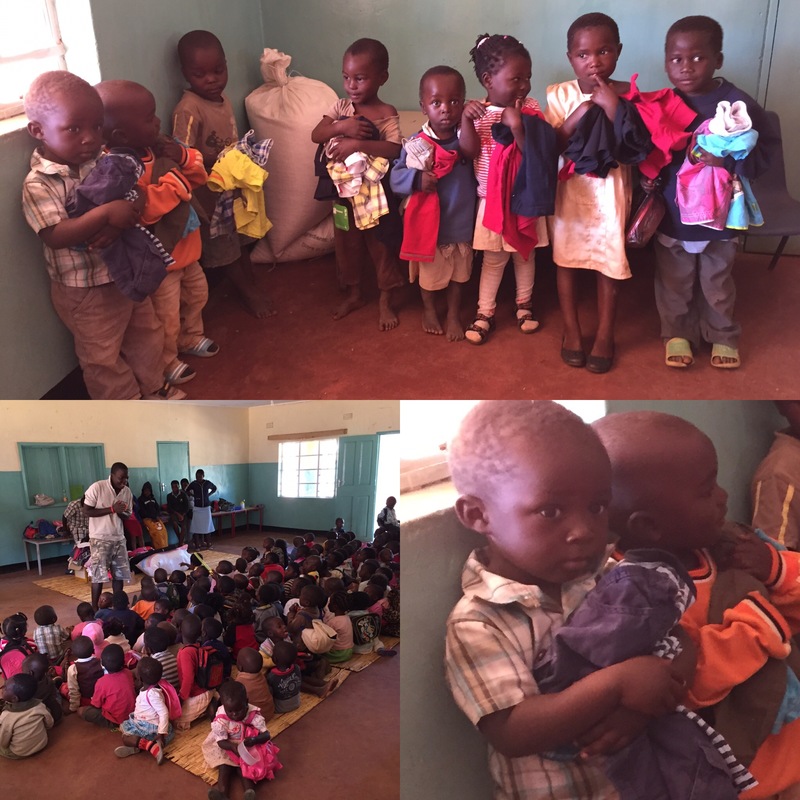 We helped the people at these two camps with 20 bags of maize flour, blankets, assorted clothes, baby blankets, Mosquito nets and legumes. It must be stressed here that whatever we distributed was appreciated by T/A Nkanda, the village heads and the recipients. However there is still need of more help. These people as repeatedly stated have lost all their belongings. Secondly, they have no homes. In addition some of them are school going children and are worried as their parents cannot afford meeting their education needs. 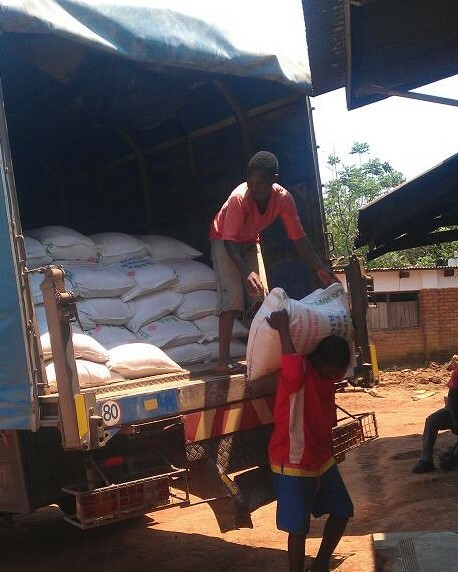 Picture: Maize Delivery – The people we worked with are, Steven; Blessings, the driver; Mwamadi Chair, Mrs. Saliya; Mrs. Ruth Kumwamba, Chair for Kumwamba centre; Mrs. Liphava; Fred, receptionist, Lawrence and Magalasi from FOMO mill, and another boy Sayison. We thank them all for their cooperation. We also take this opportunity thanking the directors and all FOMO supporters for the help. These people have at least something to start with. Update 17/01/2015 – FOMO has some resources on the ground which will distribute, but we still needs funds to help as many as we can. 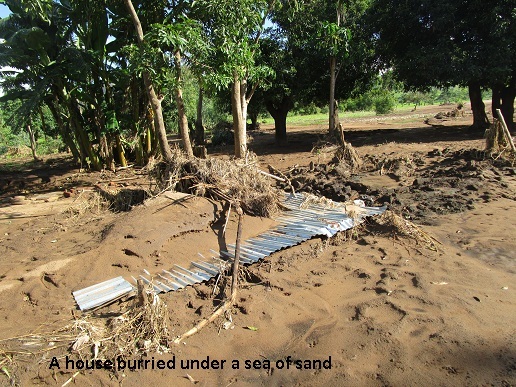 places where people have been severely affected by the floods. The first place we visited is Kalilima village T/A Nkanda, Mulanje (Close to Nkando trading centre). Several houses have been totally destroyed. However we focused on the village named above where almost all 15 houses have been washed away. found a lady and a girl sleeping on a piece of timber without anything to cover themselves with. Yet they are sick. They also urgently need basic items as above. You may wish to know that we are the first organization to visit these people since the flood took away their belongings they cherished so much. not directly take their pictures. We have set up a just giving page Click Here for donations or you can contact us directly via email fomouk@hotmail.com. 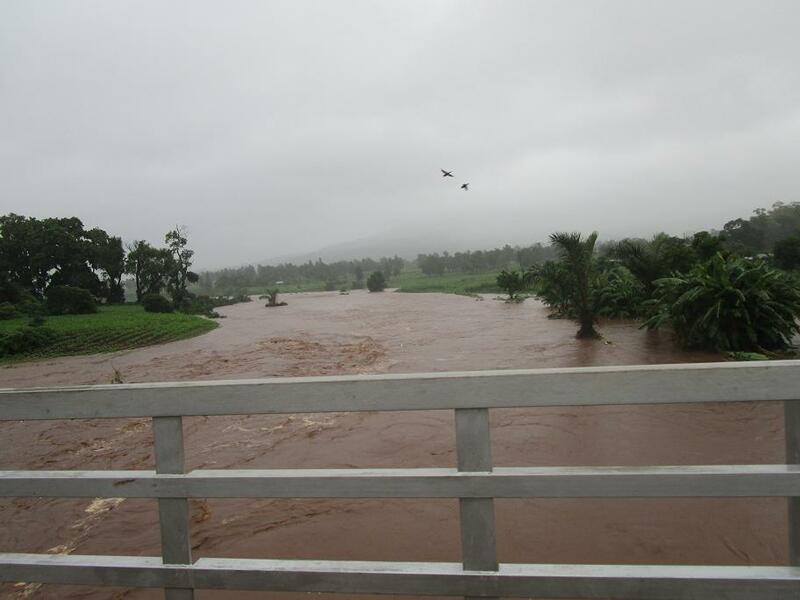 The southern region of Malawi including Mulanje is in the grip of unprecedented floods. This will be familiar to many in the UK, but the consequences for the local rural mostly subsistence farmers, is deadly. They may have survived the initial, but the loss of newly planted crops and their food store from last years harvest will lead to famine and starvation. Add to this the lack of shelter, over flowing pit latrines, the loss of their few possessions, blankets, pots and plates and the immediate situation is bleak. There is no support structure and to mobilise the countries few resources will be too little too late. 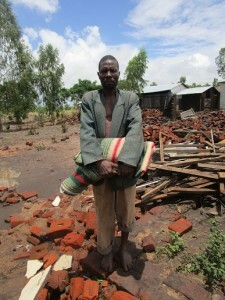 Help is needed now and in the coming year to both feed and repair the damage done. FOMO has not been unaffected by this disaster, with the loss of structures and total destruction of the crops that help to support the children. Nearly all our children come from rural families and their situation is still unfolding. 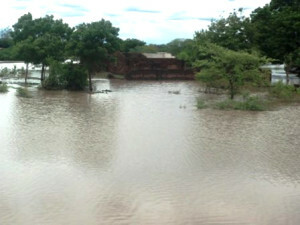 FOMO has raised a “Flood Appeal” to help purchase, plastic sheeting for shelter, food, plates, blankets and to support the children and their families over the coming year. FOMO gives direct help and can react quickly, but we do need help at this critical time. Thank you for your time and assistance you may wish to give. BRIEF FAMILY BACKGROUND: My name is Oliver Simbota. I am a boy of 22 years. I am the last born in a family of 7 children (three sons and four daughters). My father died in 1997 when I was very young. My mother also died in 2003 when I was in standard 3 (primary level) followed by my elder brother in 2010. From my family, no one had managed to complete his or her education up to secondary or tertiary level like me. As a result of death of my father and mother, all my sisters got married early due to lack of support. All my sisters and brother depend on farming for their daily living. One of my sisters took me in 2001 to live with her though she was not working. I have been living with her from my childhood till today. JOINING FOMO: I was very hopeless about my future before I joined FOMO. I realized that I have bright future when I joined FOMO in 2002. Throughout my primary school level, FOMO has been supporting me in various ways like providing food, medical treatment, clothes, soap, notebooks and pens just to mention few. During my stay at FOMO, I have been also learning many talents like playing piano and singing. When I was selected to boarding secondary school to continue my education, FOMO did not stop there but to continue paying me school fees. Apart from school fees, FOMO was also providing things like pocket money, notebooks, blanket, mosquito net, travelling bag, school bag and much more. FOMO has done a great job to my life and I can’t exhaust all the things which FOMO has done to my life throughout my primary, secondary and even now at tertiary level. FULFILMENT OF MY DREAM: FOMO is now doing a great job to me by fulfilling my dream of becoming a Clinical Laboratory Scientist. From my childhood, I have been thinking of becoming medical personnel. I was not sure of which department in medical field I would want to be working but what I remember is that I was very curious about what makes people to fall sick. I was also interested in searching things and asking myself many questions. 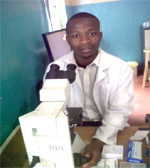 Then I applied to Malawi Adventist University to do my first degree in Medical Laboratory Science. I like this course because I really know that I will assist the world in various ways. I really wish also to put FOMO CLINIC on map in terms of providing best services and to turn it into a hospital. I am now in second year of my studies. SPECIAL THANKS: In a special way, I would like to extend my gratitude to Aunt Mary Uncle Keith and Sister Mary (Mary Petrofsky) for the massive support you are rendering to me for paying my school fees. I don’t want to take it for granted because I really know that there are many people who have failed to continue their education up to University level due to lack of money. I just want also to encourage you that please continue the work you have already started of paying me the school fees. I want also to thank Sister Mary for the first aid classes you provided to me. The knowledge of first aid you put in me is really helping to many people around me. Finally, I would like to thank FOMO UK as well as FOMO MALAWI for the support you give to me as well as other FOMO registered members. May God bless you all. Zikomo kwambiri (Thank you very much). FUTURE PLANS: I am expecting to work at FOMO CLINIC as a laboratory scientist after finishing my degree in Medical Laboratory Science. I am also expecting to support my fellow orphans after my studies. DURING HOLIDAYS: I assist at FOMO CLINIC during my holidays and conduct first aid classes to FOMO children across FOMO 14 centres around Mulanje district. 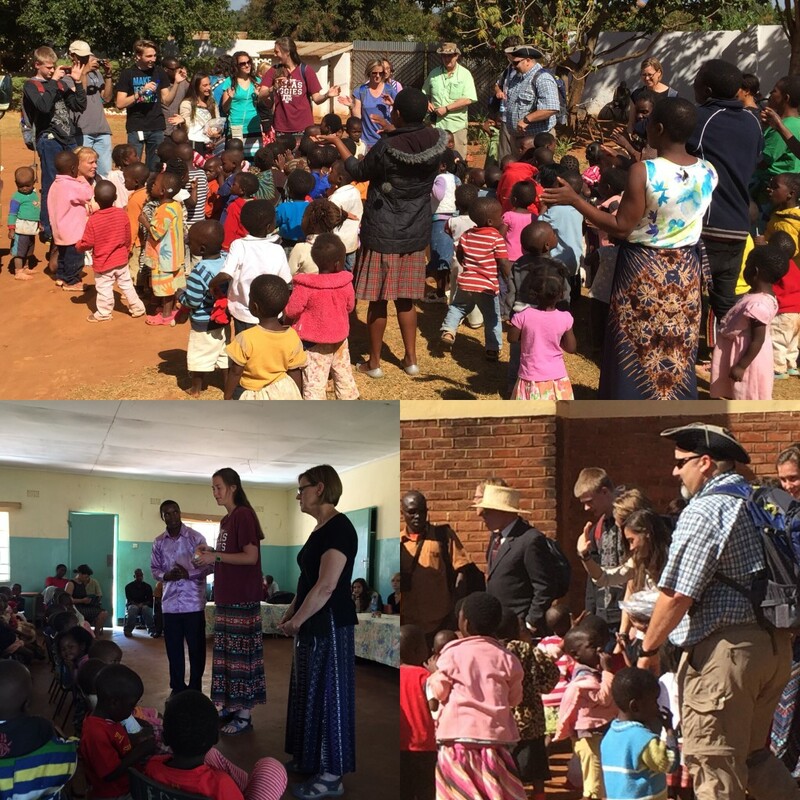 Having travelled to Malawi 3 times previously with Bay House School and Sixth Form, this summer I chose to travel independently to help the charity. I stayed with some friends I had made previously, and had a very full on and packed 5 weeks. One of the main jobs I had was to teach in the FOMO Independent Secondary School. For a week, I worked with the standard 8’s as they revised for their entrance exams, often having 50+ children in each class. I taught Maths and Geography. 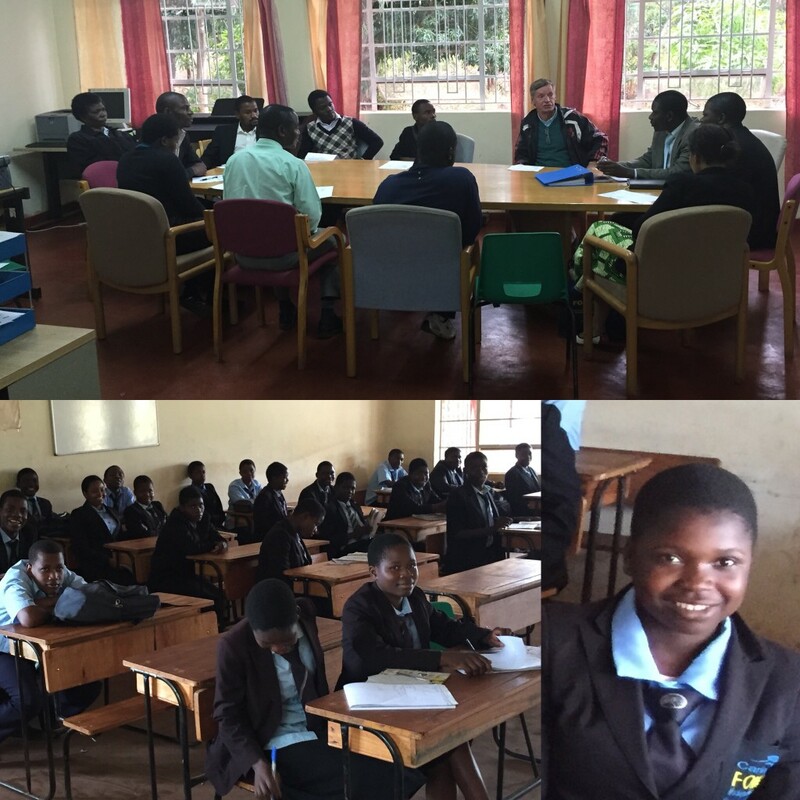 Education is key to success in Malawi, and I felt honoured that I could be involved in their progression. Their eagerness to learn and English ability at that level constantly impressed me. I wish all my students at home where that good! I worked closely with my fellow teachers at the school, planning, marking and organising the examination day, and it was great to see the care they had for their students. I also had smaller, but no less important, jobs to do during my stay. I travelled to centres in the afternoons, where Wilson and I registered children at each centre. 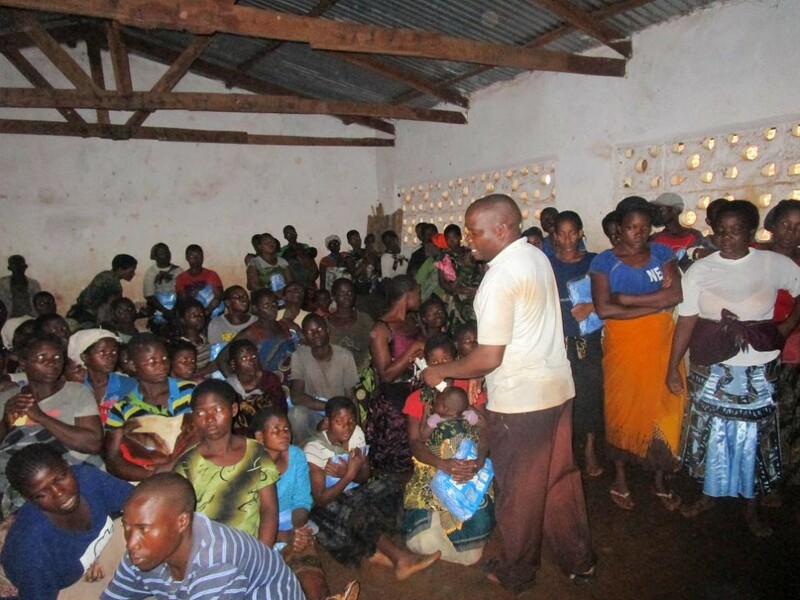 This involved a crash course in Chichewa, and then taking the child’s details. After many afternoons of data collecting, and many more mornings of writing up the data, it really begins to hit home just how many children FOMO supports. Without the charity, were would they be? Possibly not in education, which every single child currently is. It was a very sobering experience, but one that showed just how important FOMO is to the children, and how is supports them throughout their life. I spent many hours sorting in the stores, organising all the hundreds and hundreds of items that have been delivered in the containers. The variety of items that are delivered, and the usefulness of everything, astounded me. 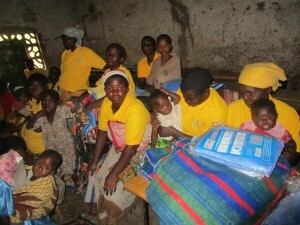 We then went to a number of centres to distribute clothes and soap. It’s the behind the scene action that enables FOMO to continue, something I have never really seen with Bay House. I also travelled to Naluwade Centre in the mountains to donate a wheelchair to a member of the community who was desperately in need. Without the continual support of the local community, this charity would also not be able to function as effectively as it currently does, and so to be able to give back to the community is important. Before departing, I managed to secure a £500 donation from TURBOCAM, a company near me, as well as kindly donations of netballs and footballs. Whilst in Malawi, the financial donation was able to pay for the deposit and construction of 8 bunk beds for the hostel, which is vital for the safety of the girls. The building seemed to shoot up while I was there, progressing reasonably quickly, as the deadline was the 8th of September. This was due to the hard work of a small team of local builders who worked late into the night. 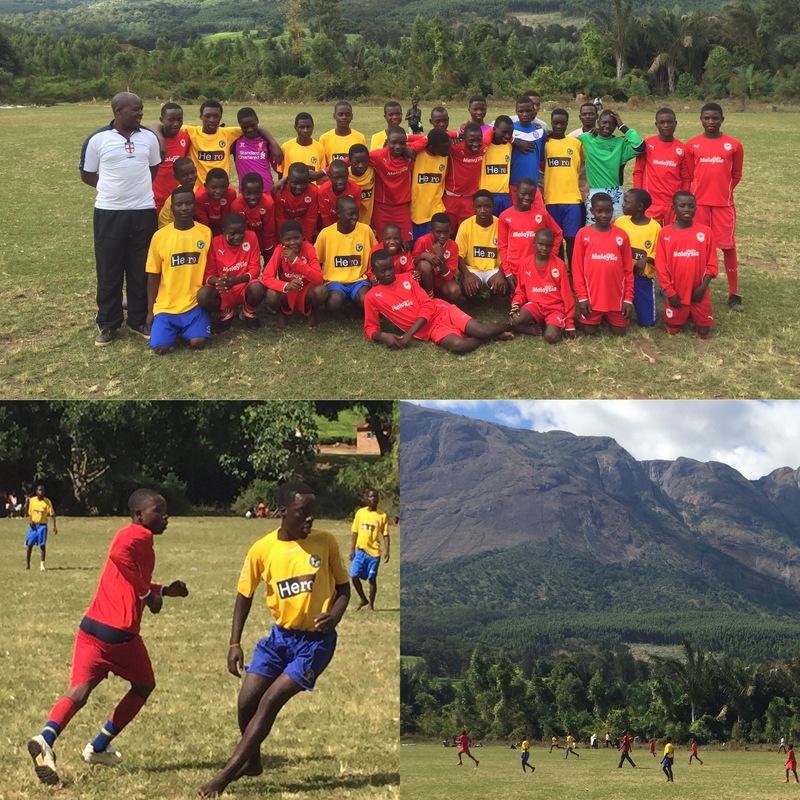 The footballs and netballs were also greatly received, and I was privileged enough to travel with FOMO FC and watch them win 3 out of 3 games, as well as climb the magnificent Mount Mulanje with them.